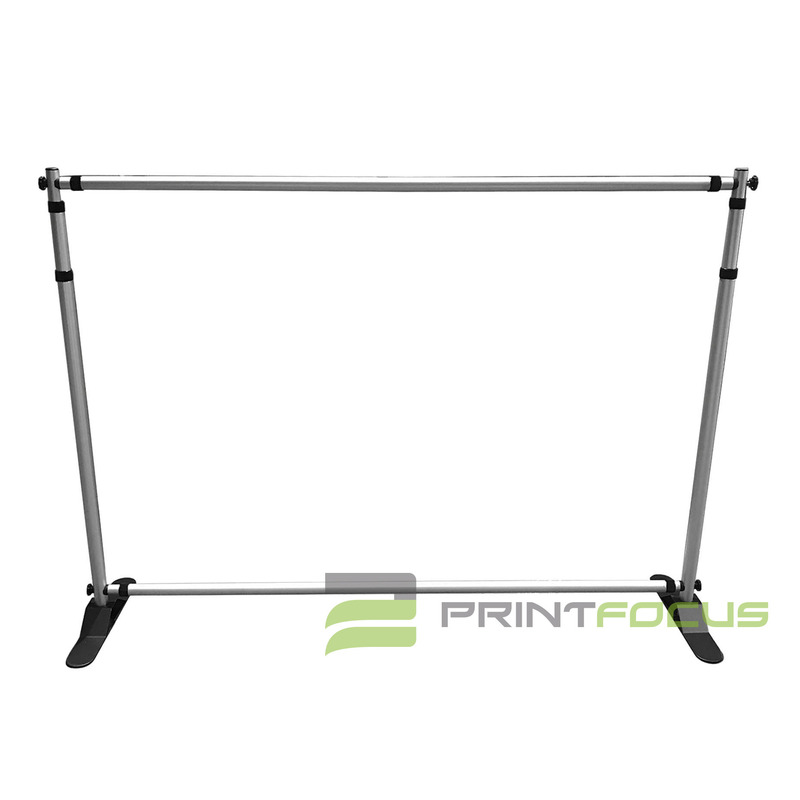 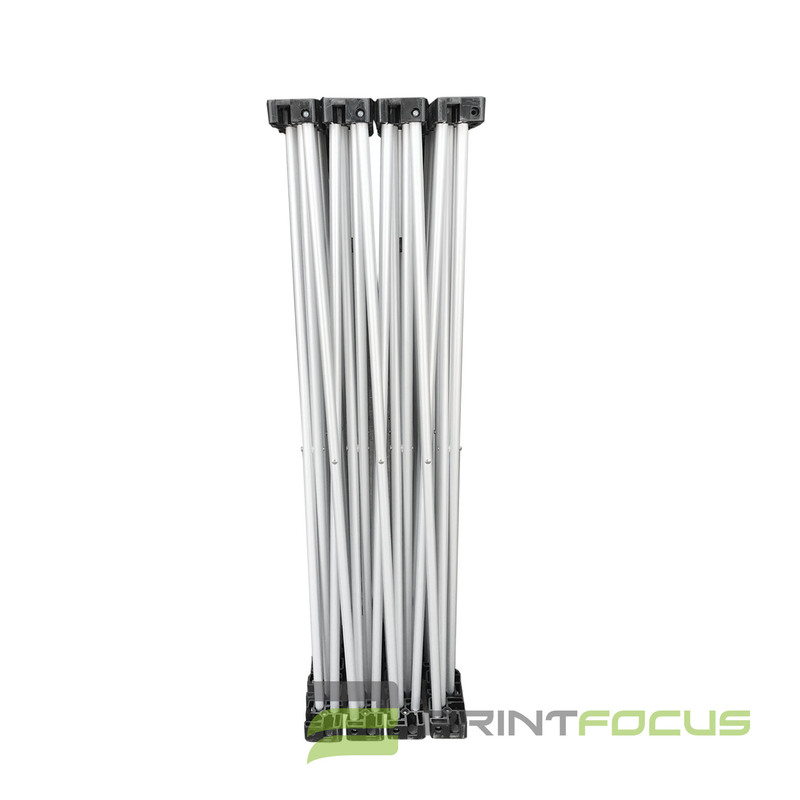 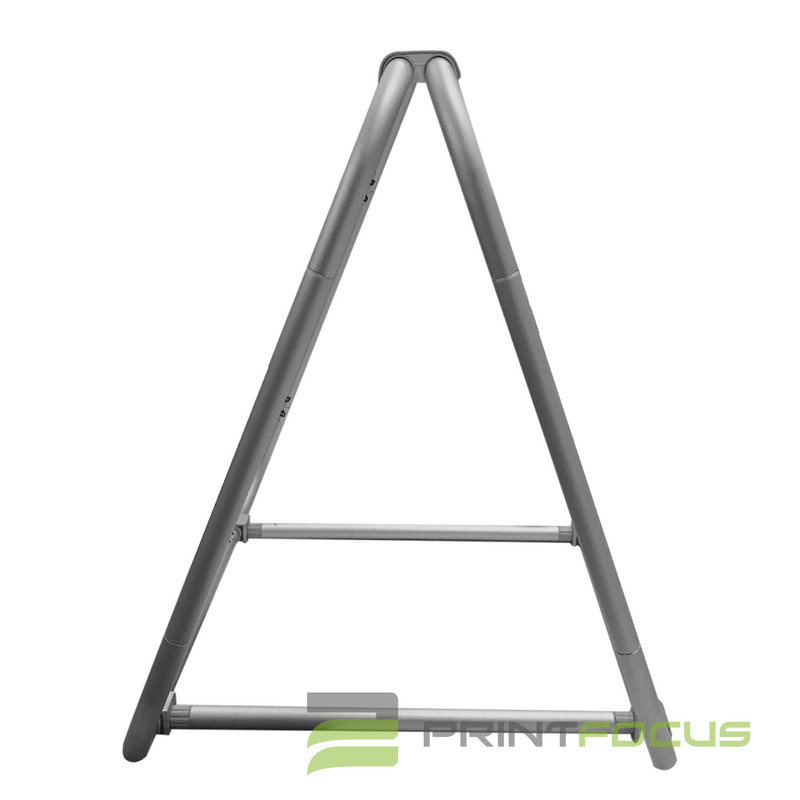 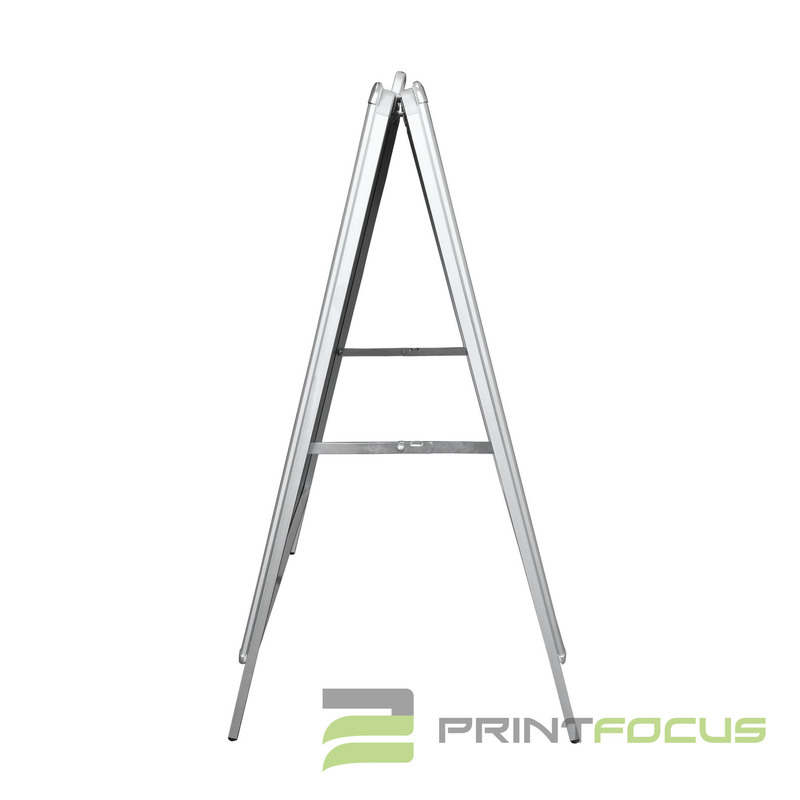 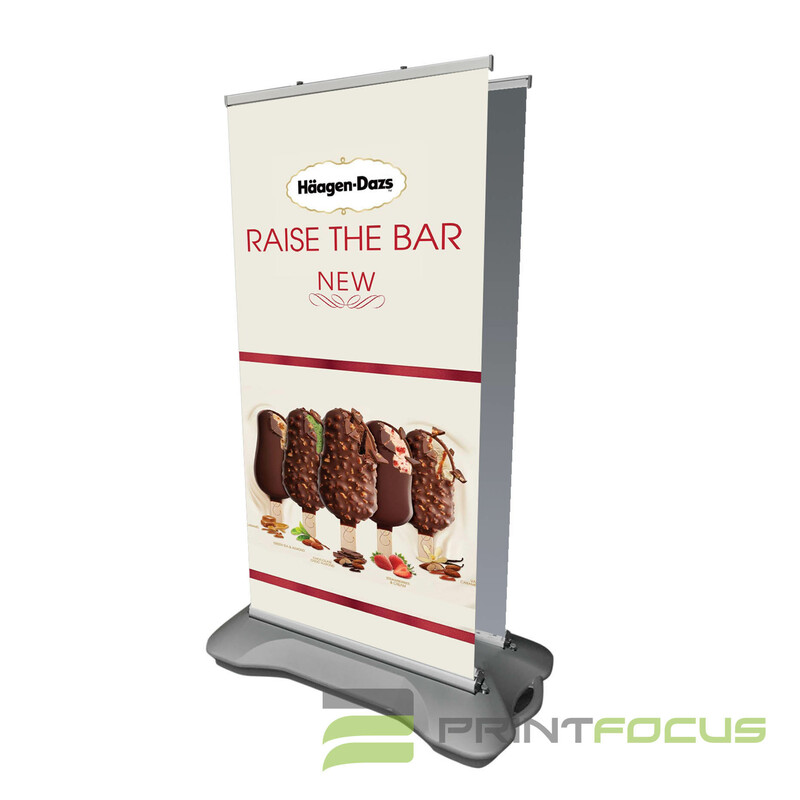 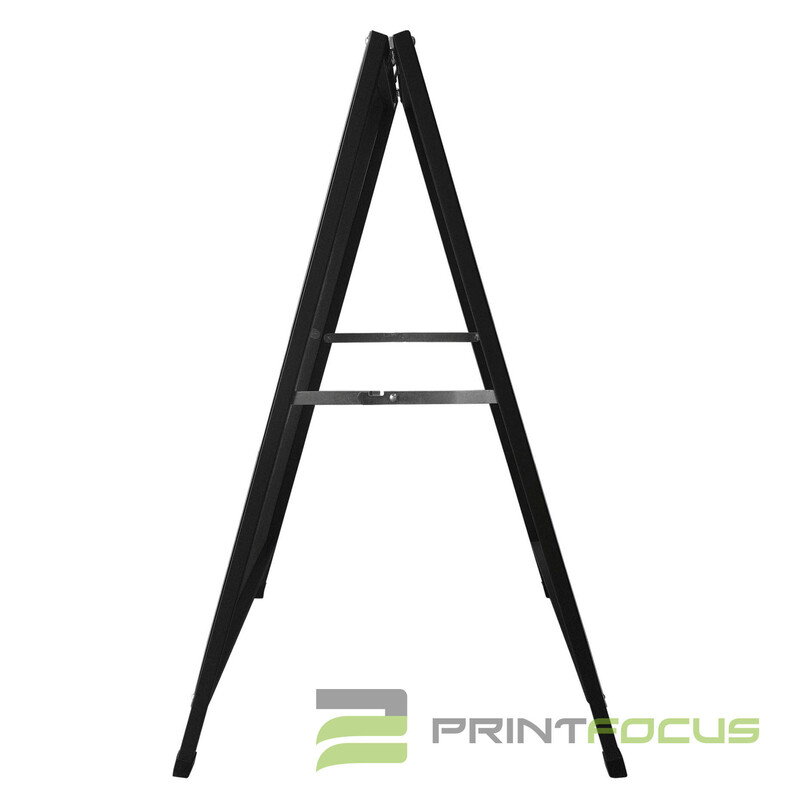 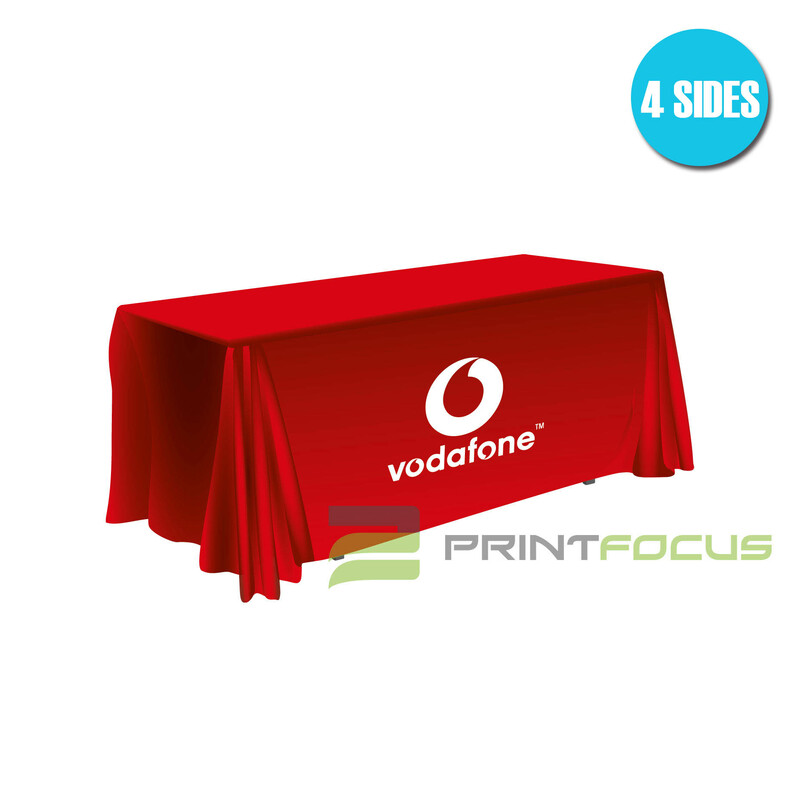 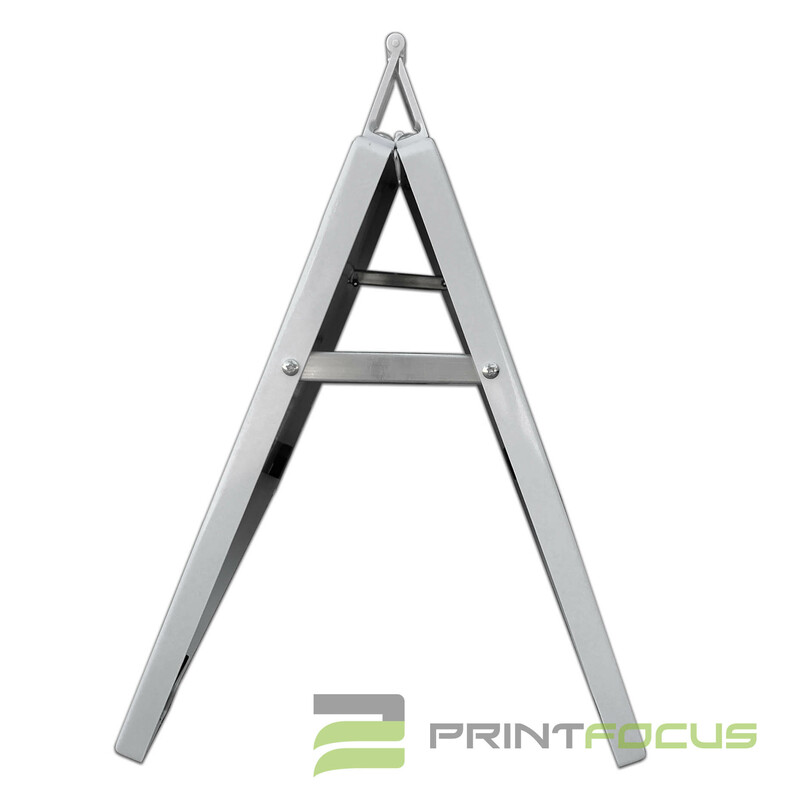 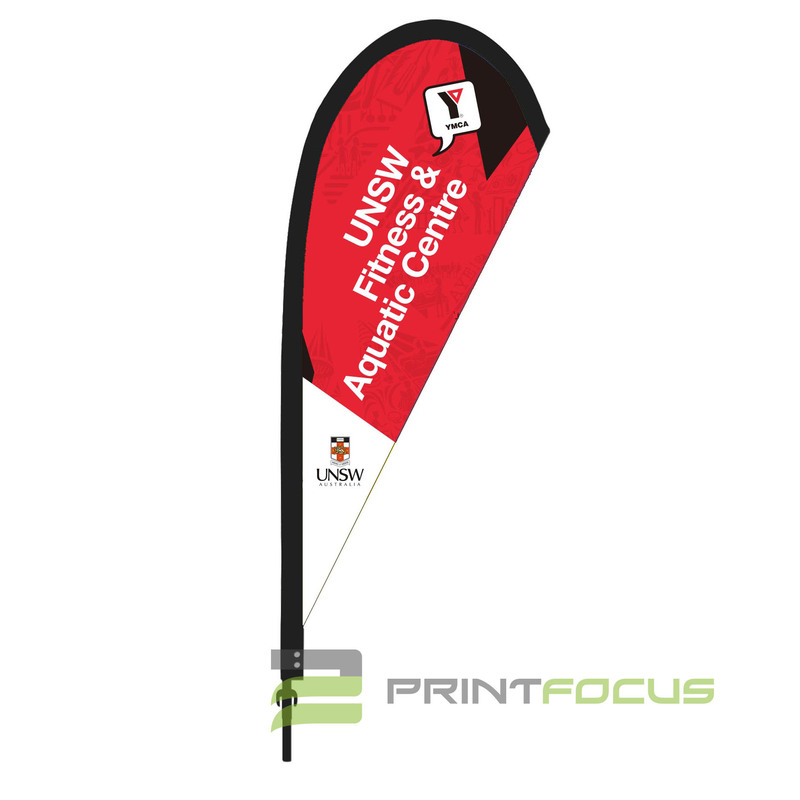 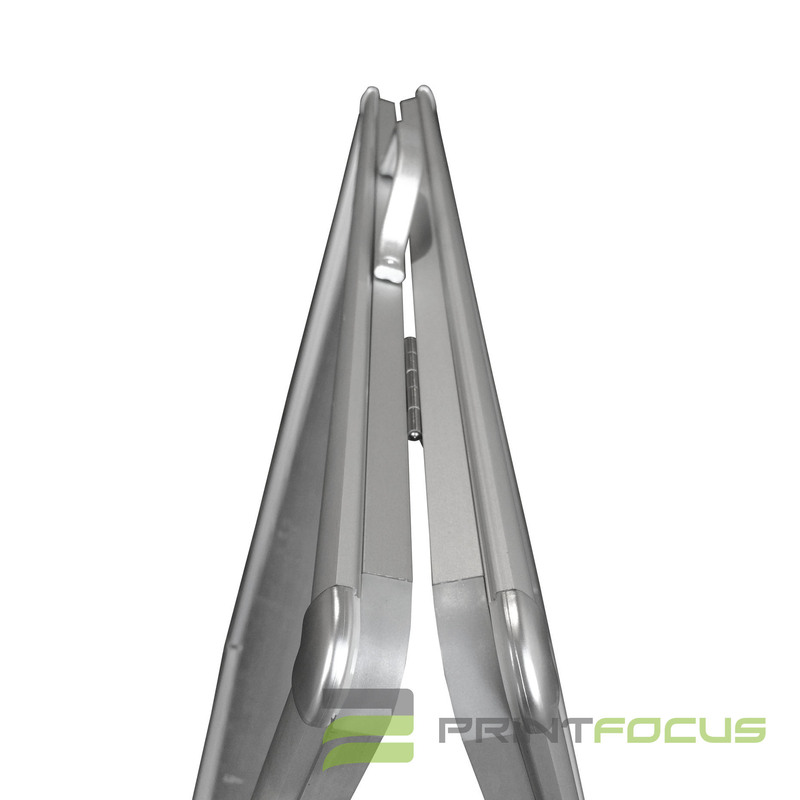 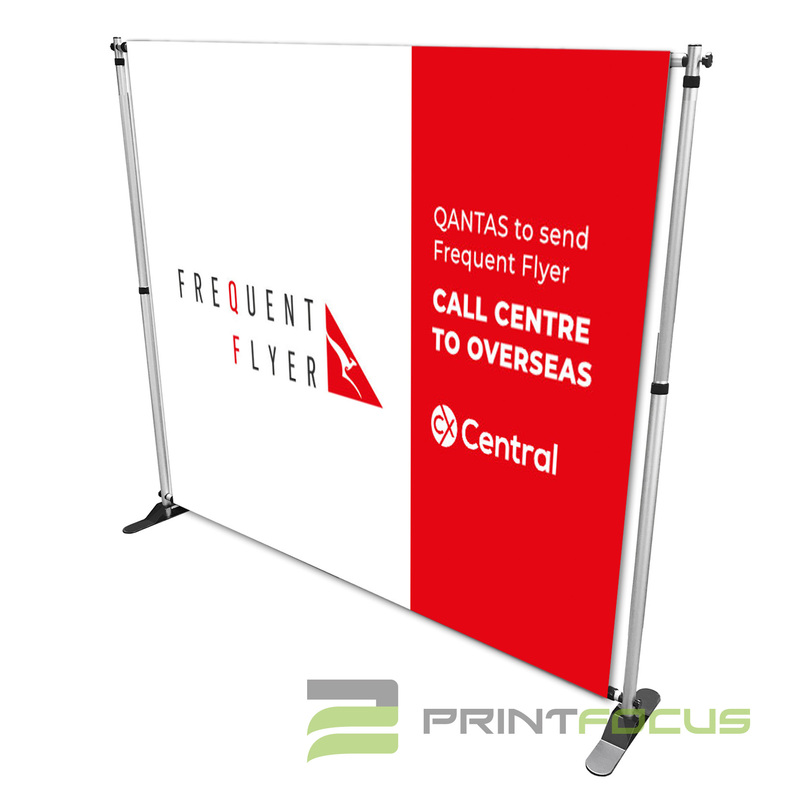 The deluxe pull up banner 1400mm height stand make it easy to assemble the unit in minutes with no tools required. 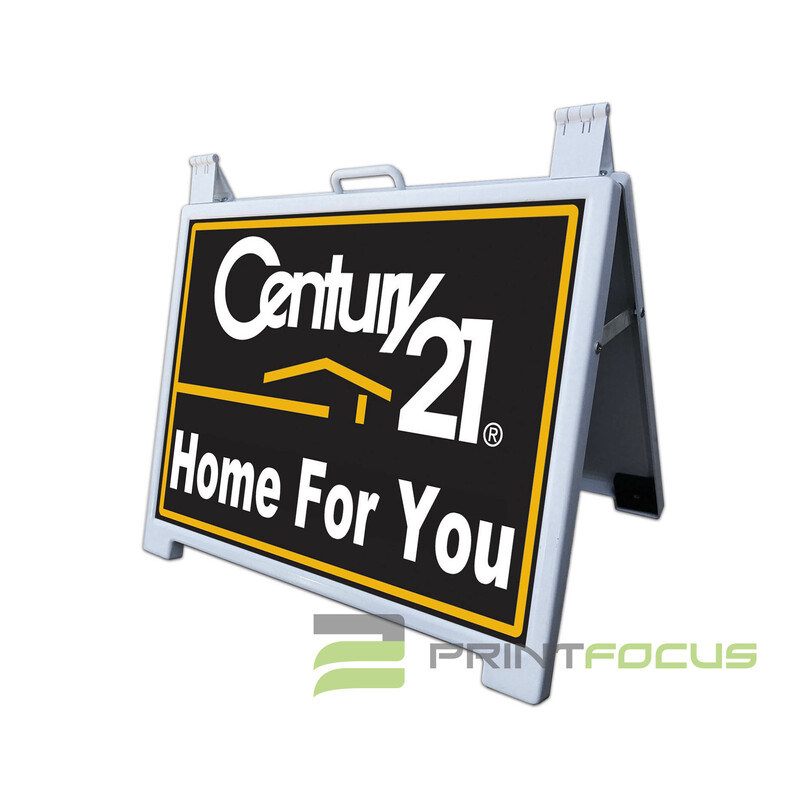 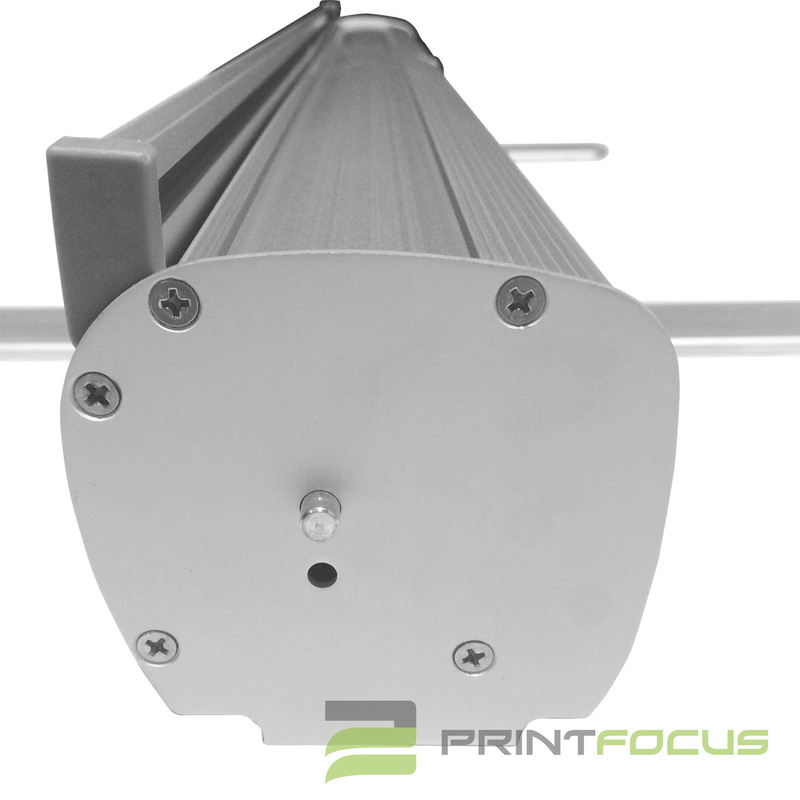 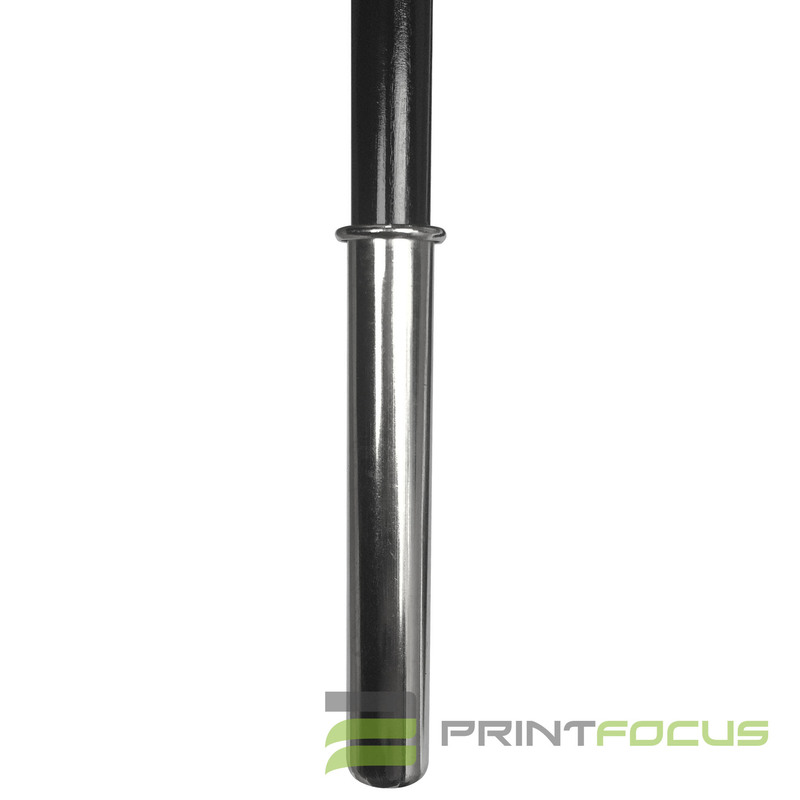 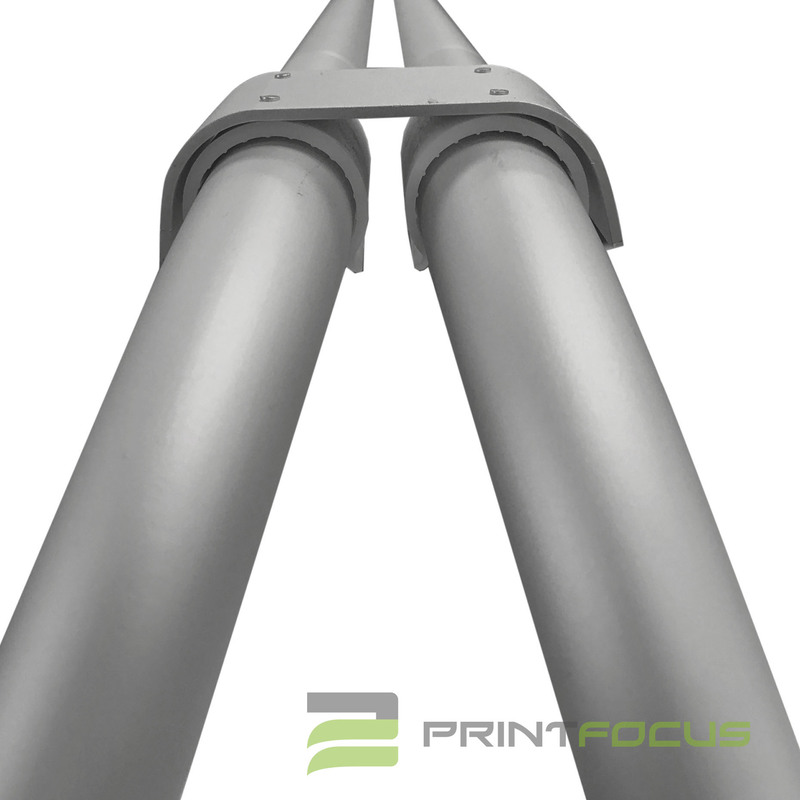 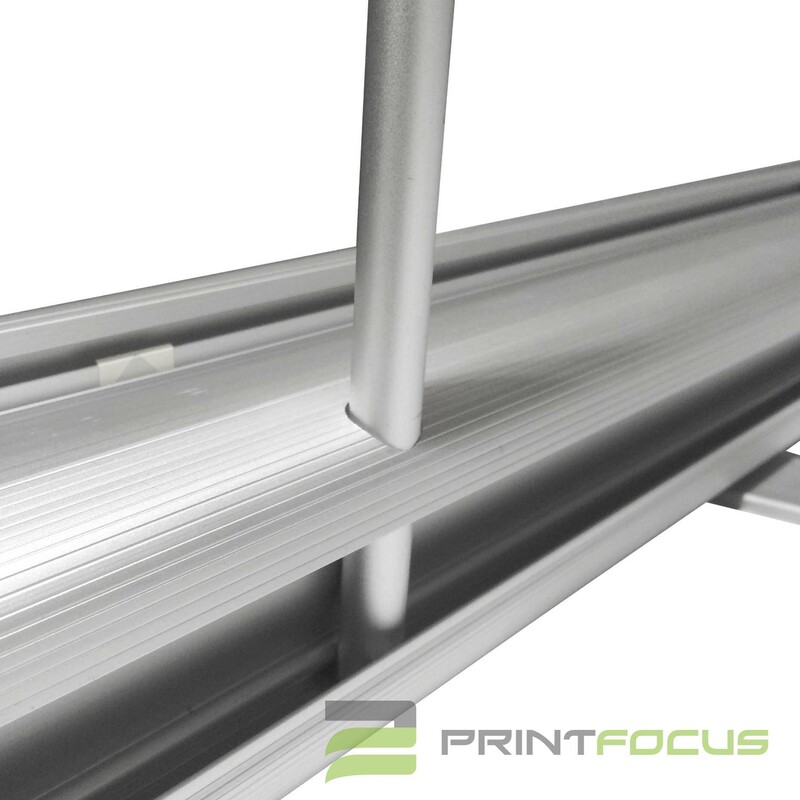 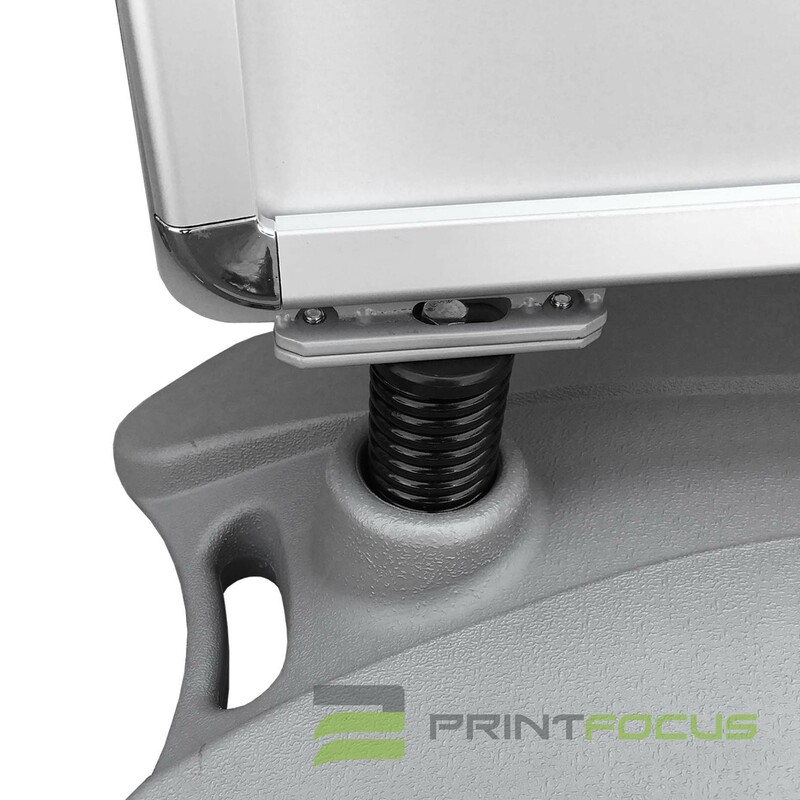 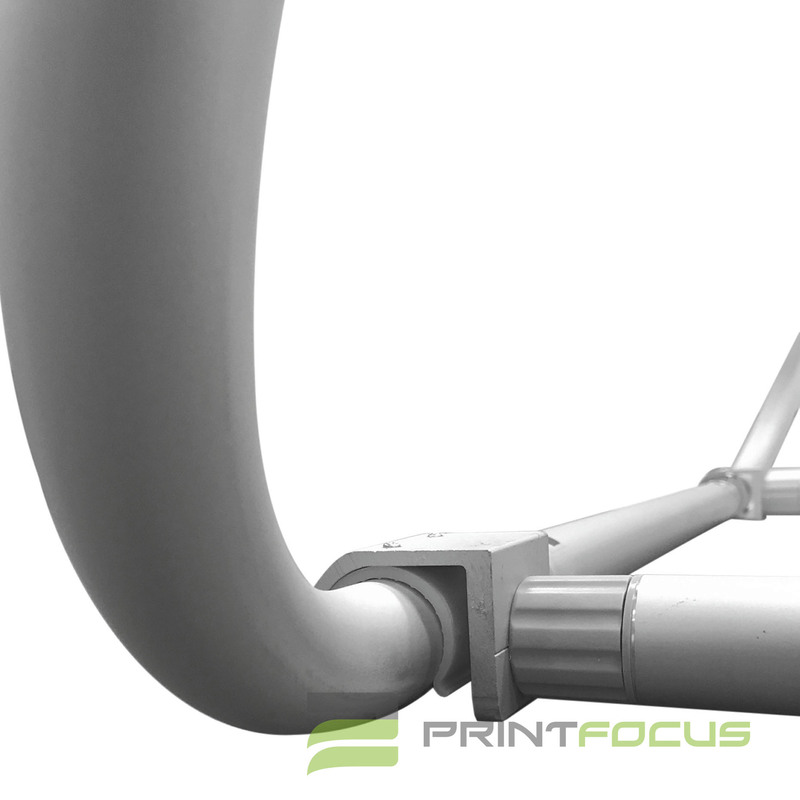 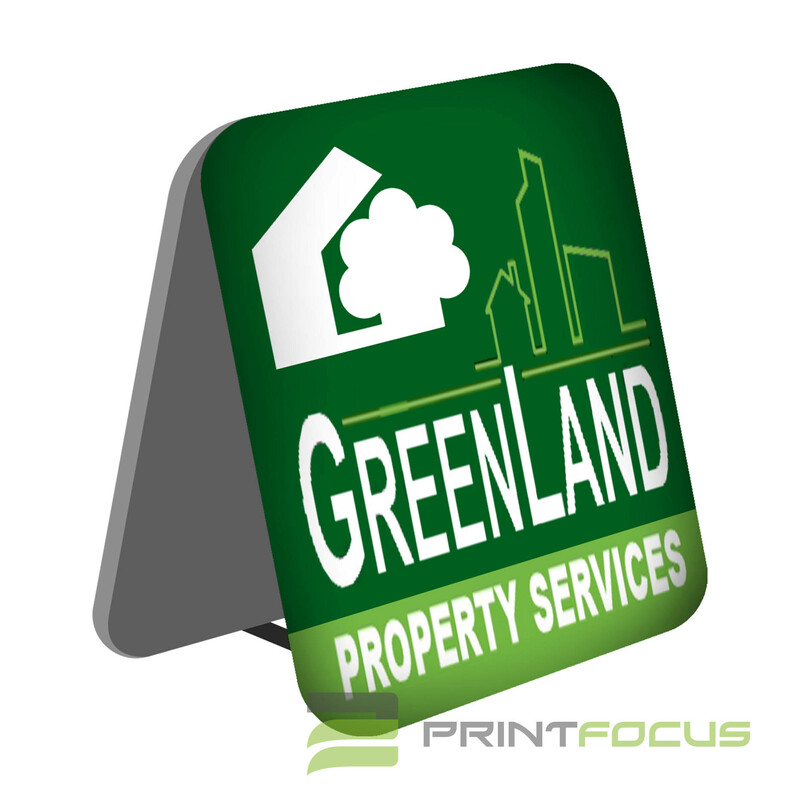 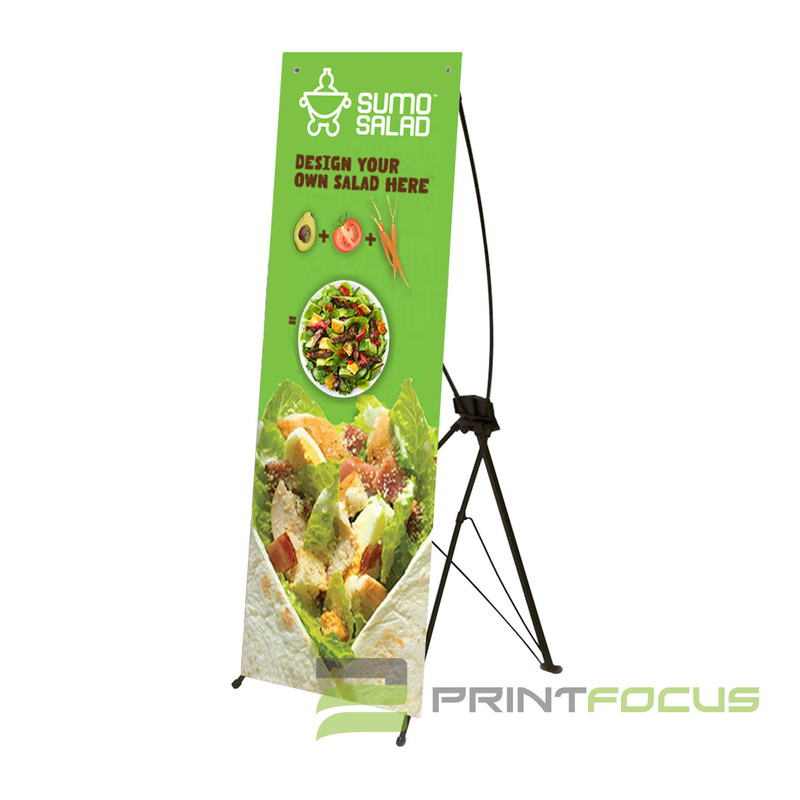 The large format graphic displays have a telescoping pole that attaches to the base and top of the graphic easily in minutes! 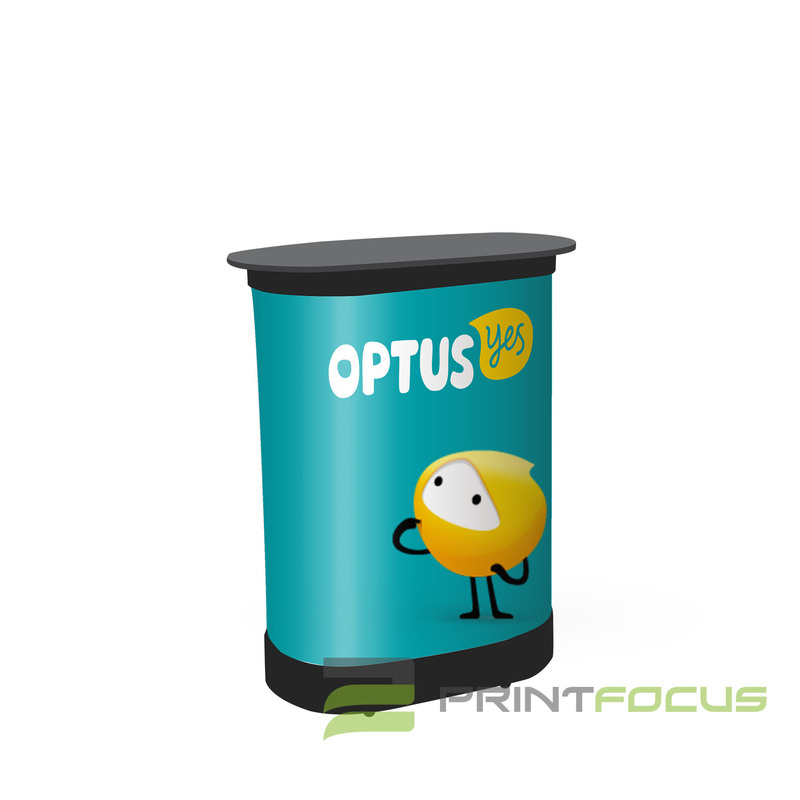 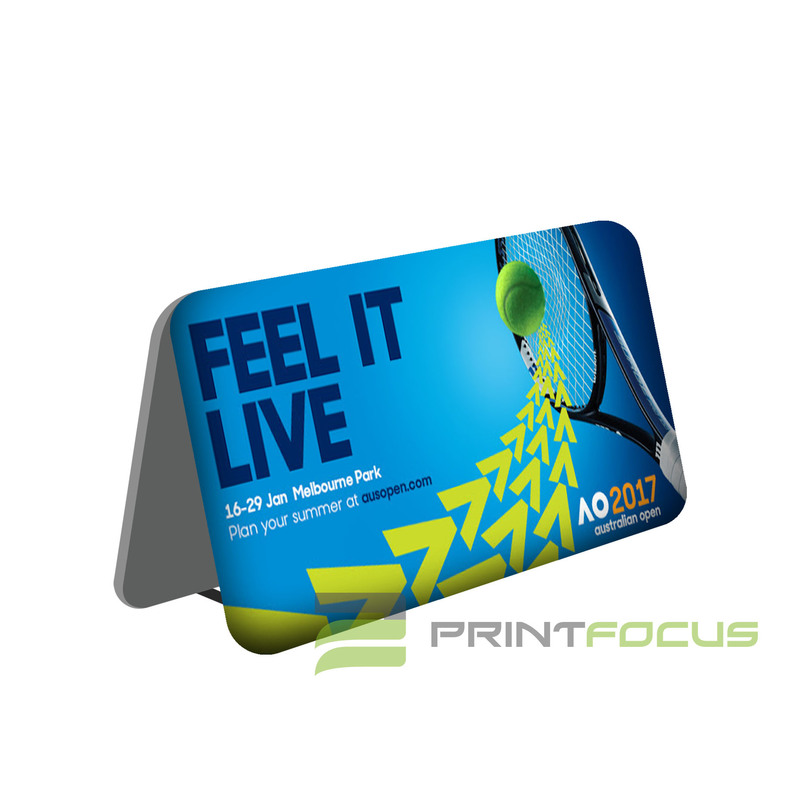 This display is ideal for use in shopping centres, retail stores and even exhibition halls and trade shows to promote to passersby in style. 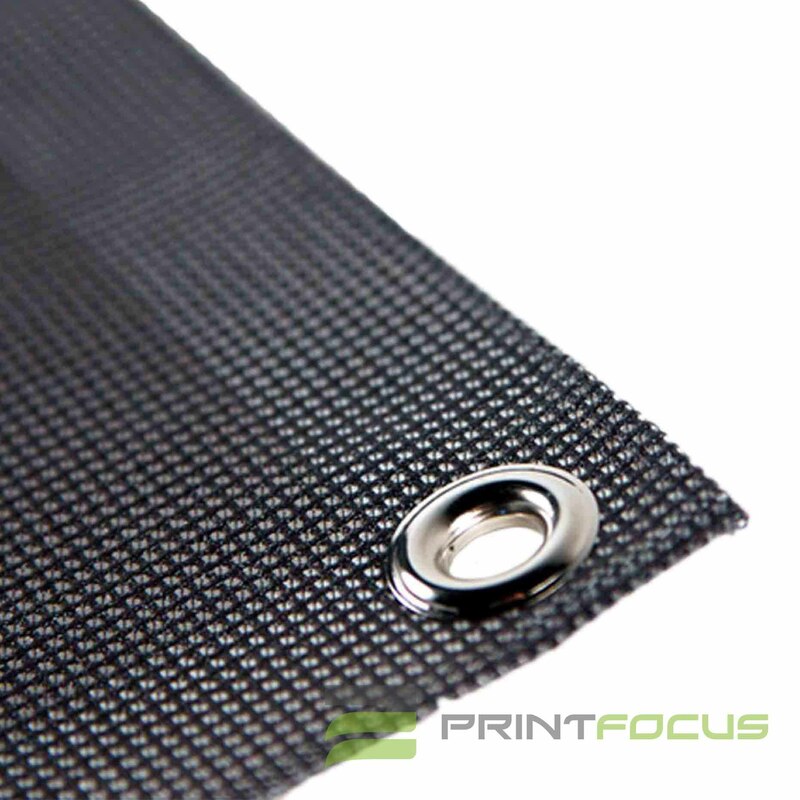 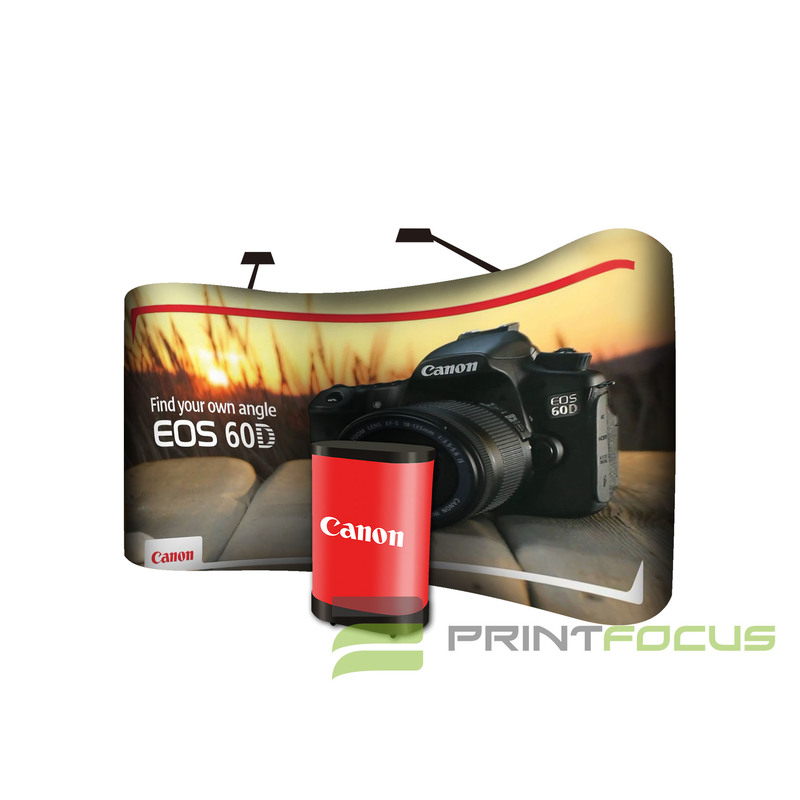 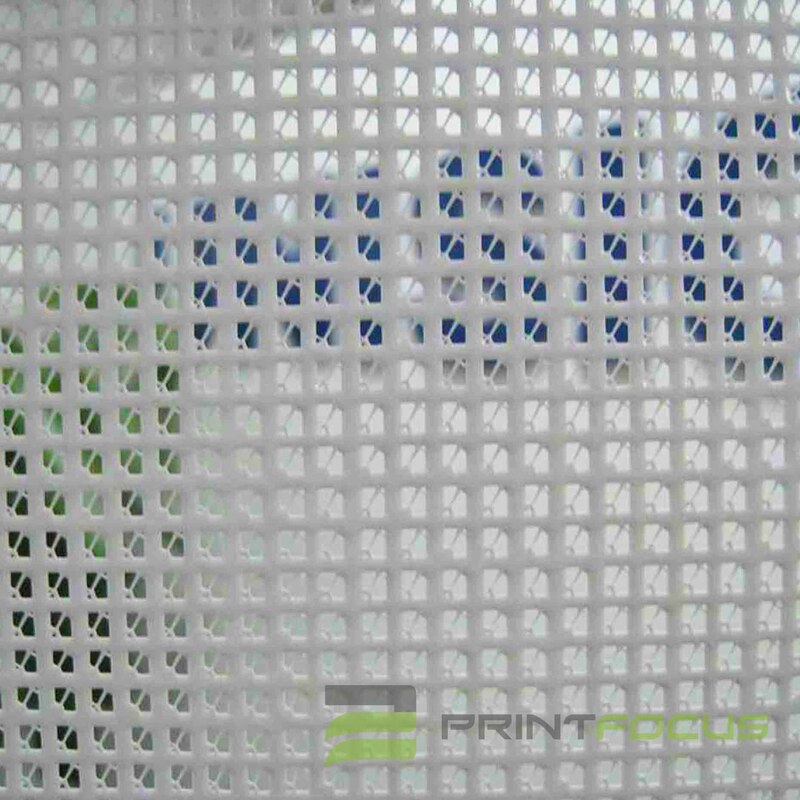 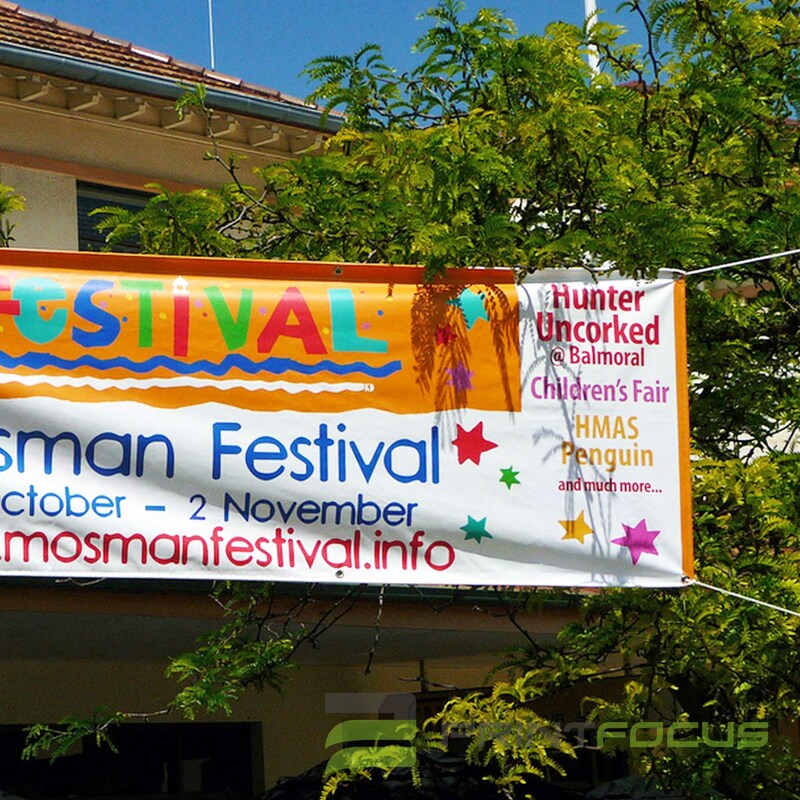 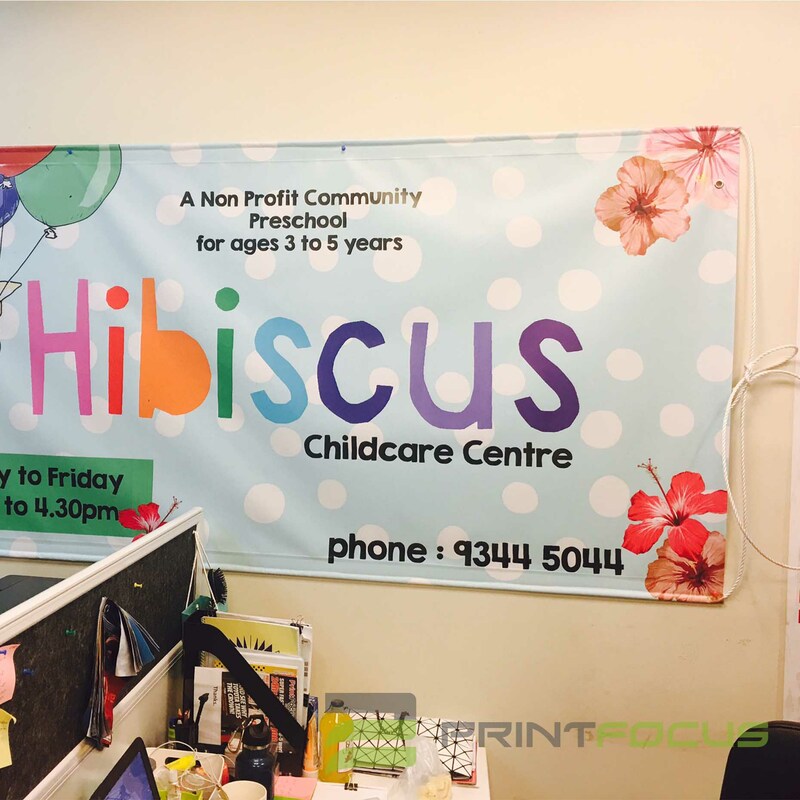 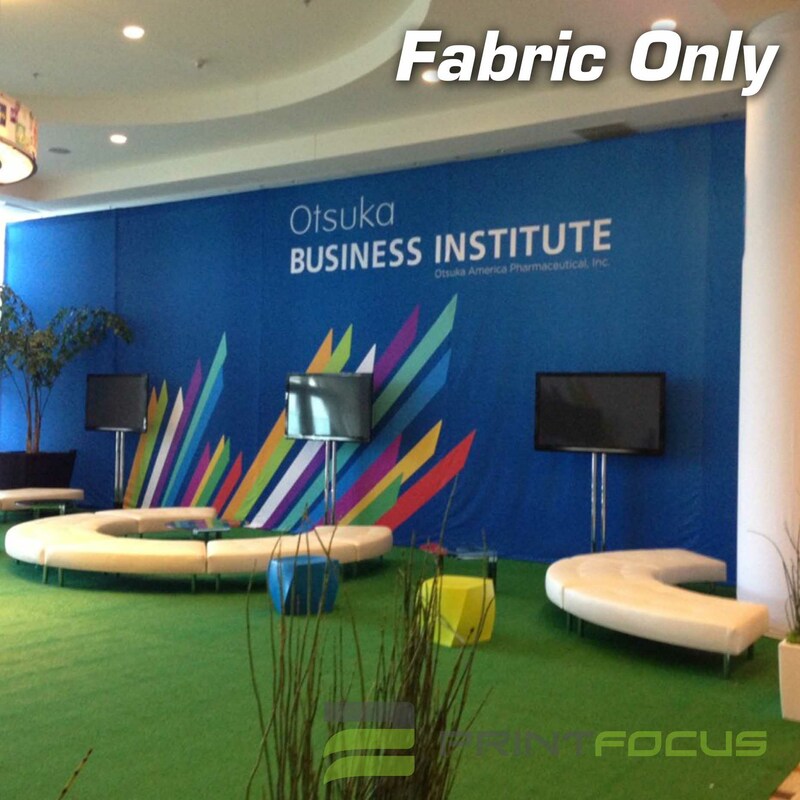 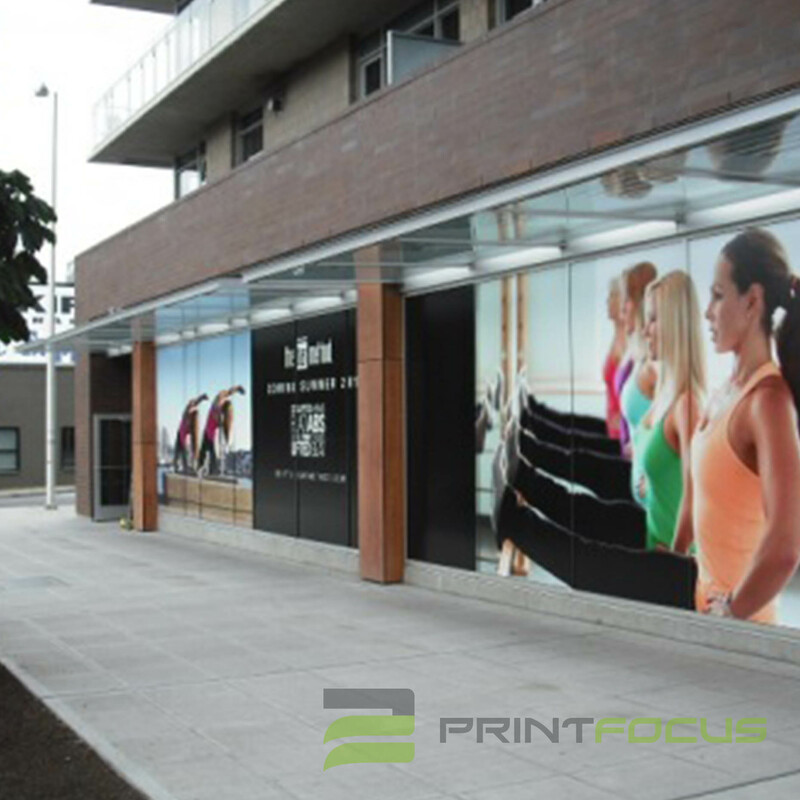 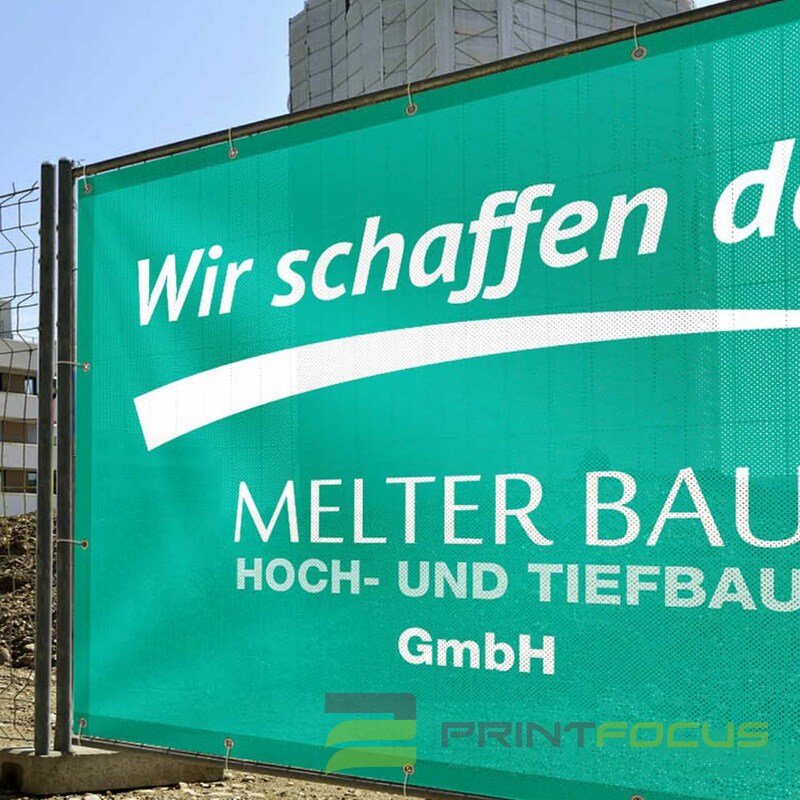 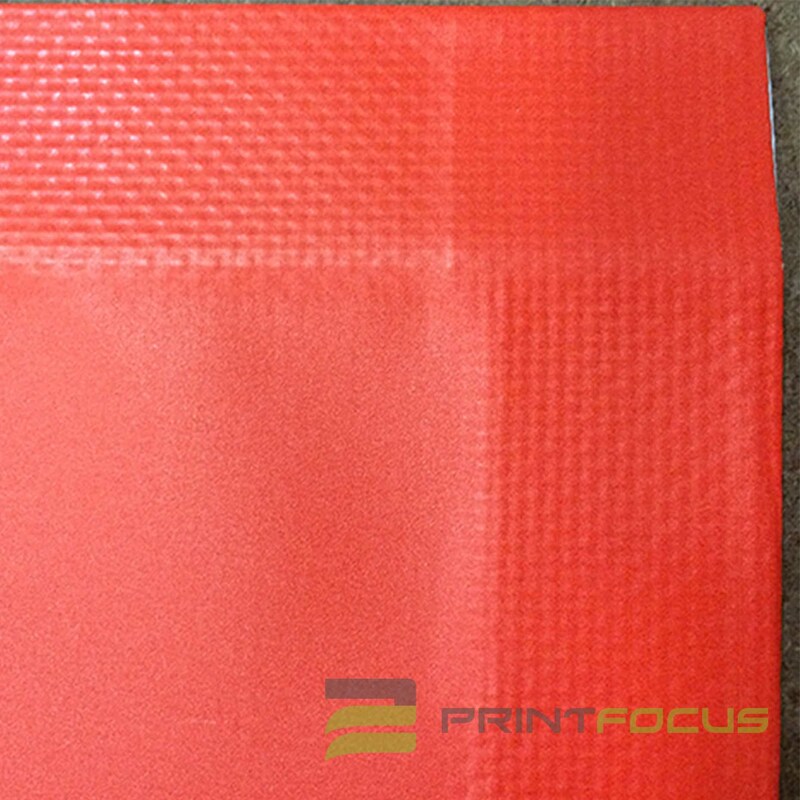 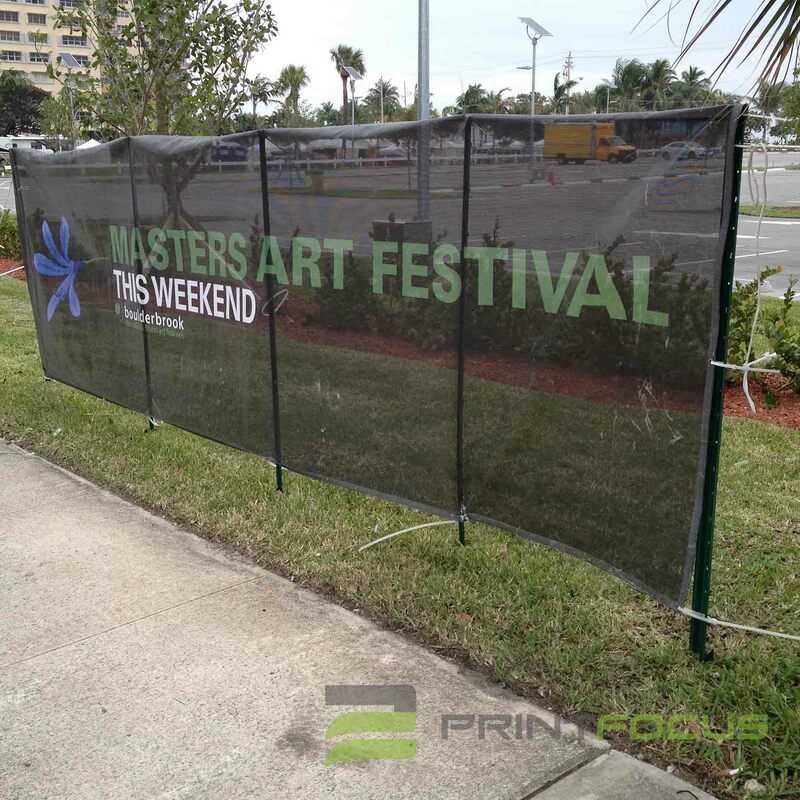 This banner is digitally printed for a true representation of your designs in order to best fit your business needs! 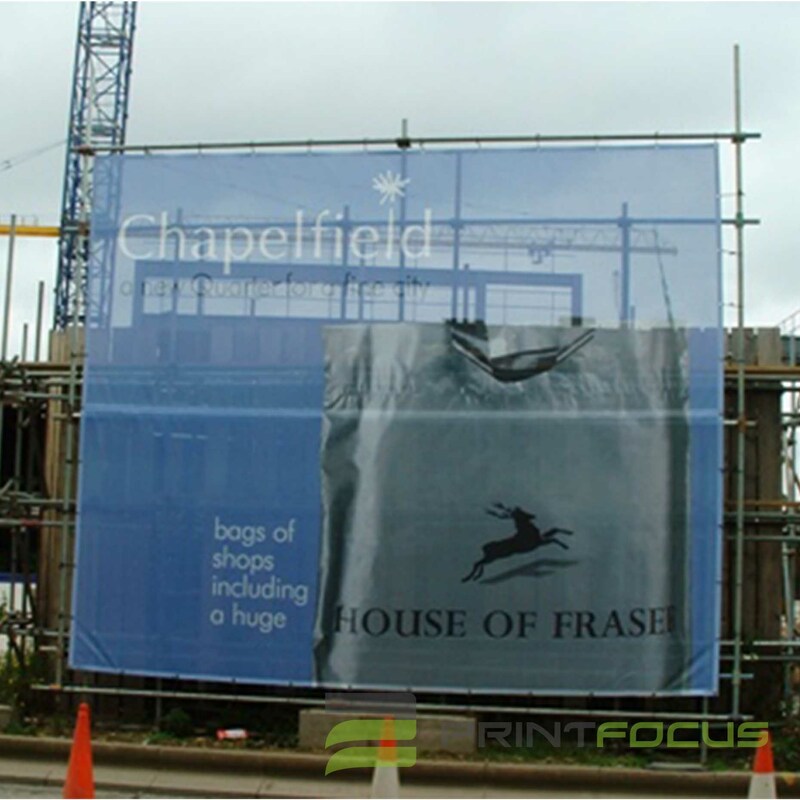 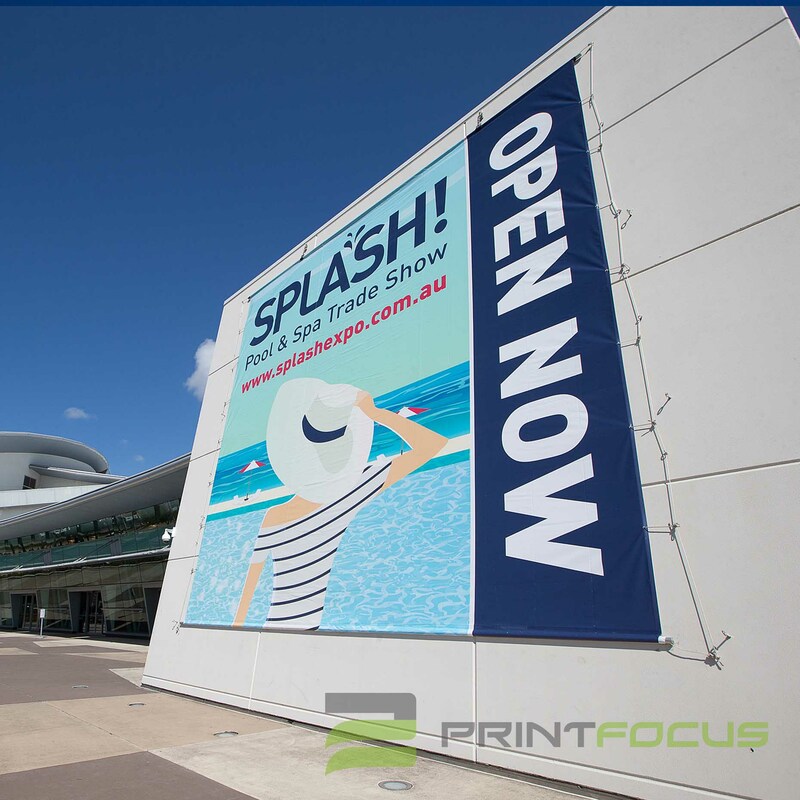 The telescoping banner stand is the right height for shopping centres to use at their business to fit in with other fixtures whilst maximising advertising space. 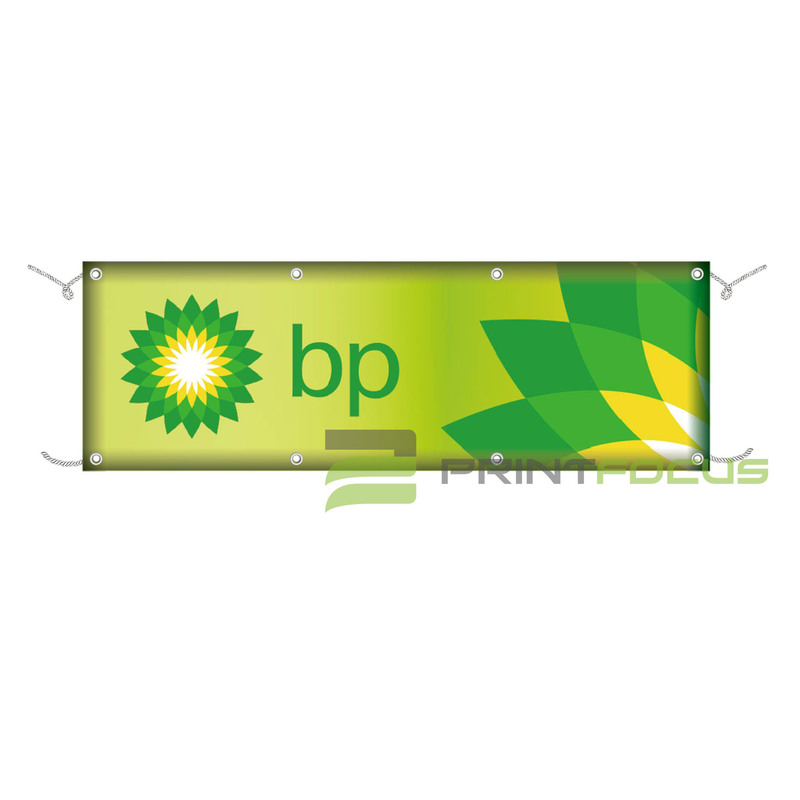 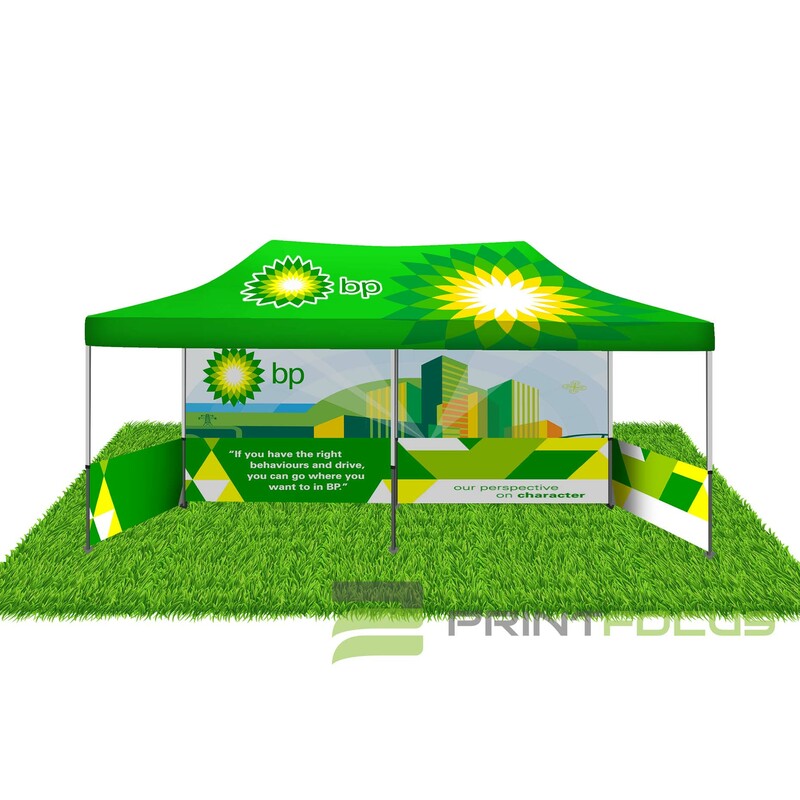 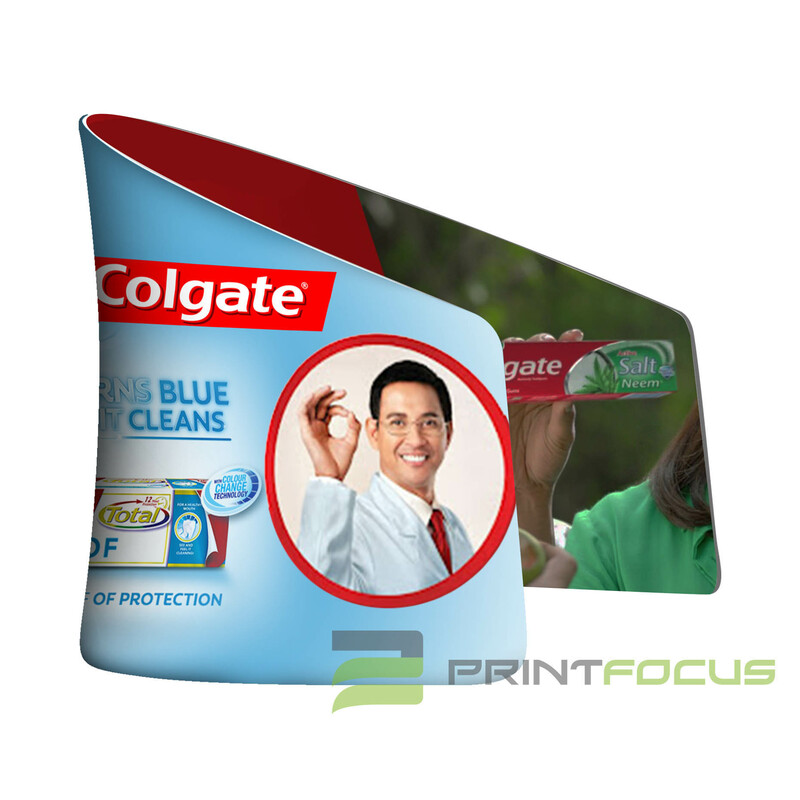 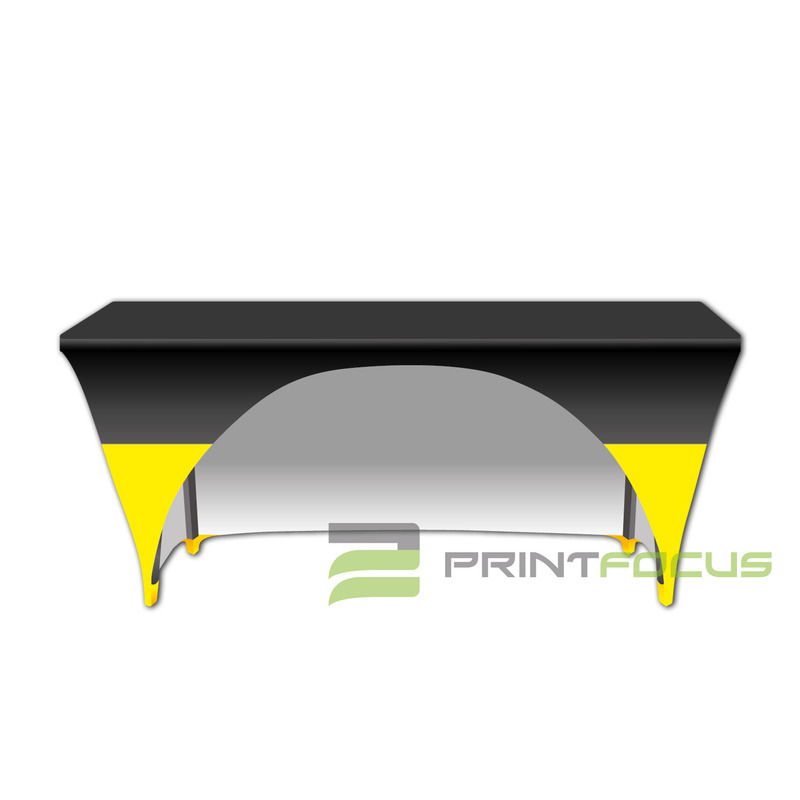 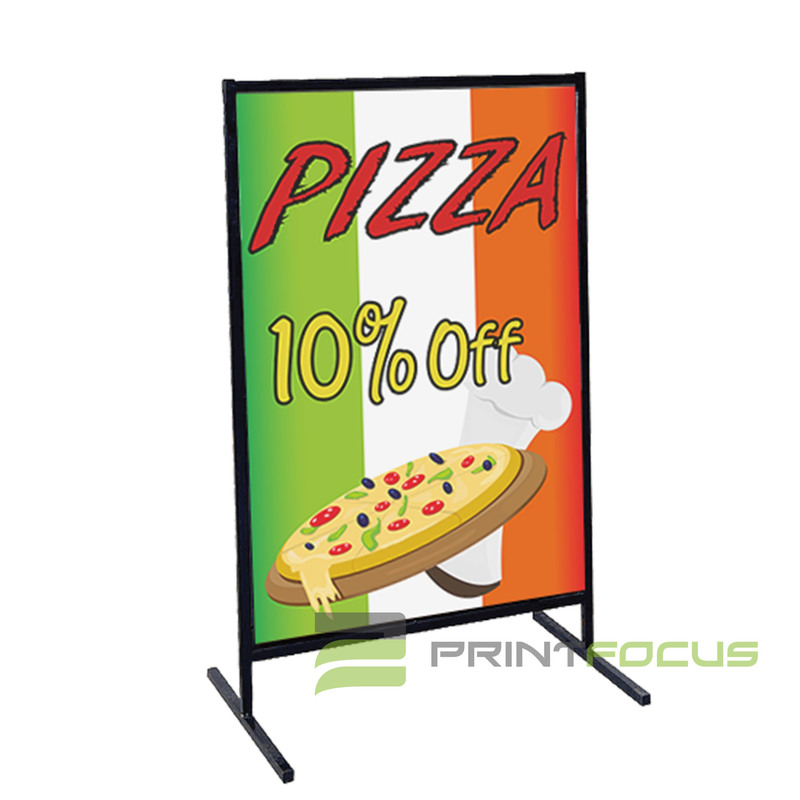 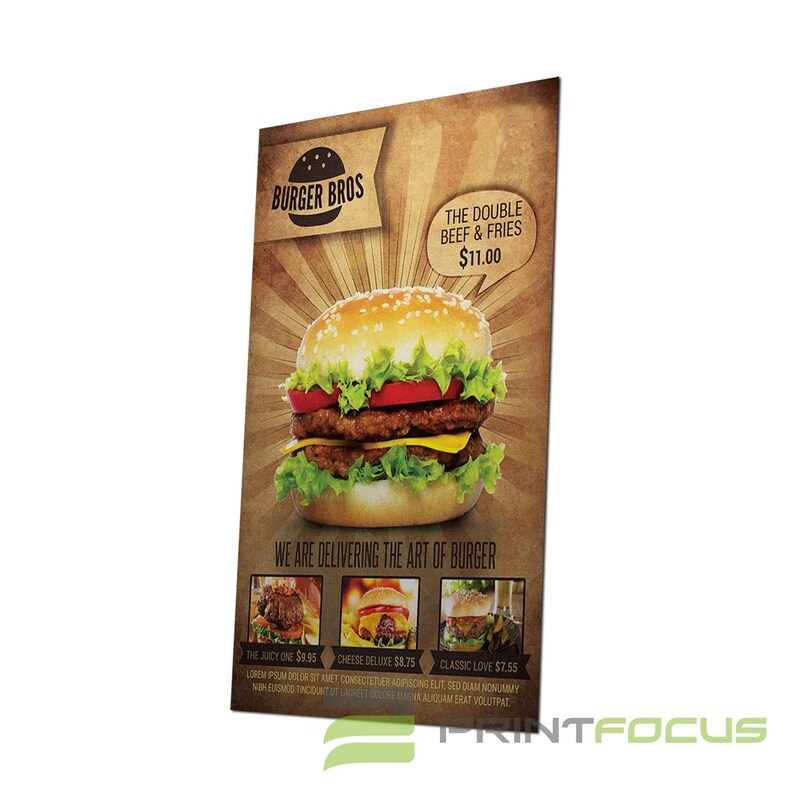 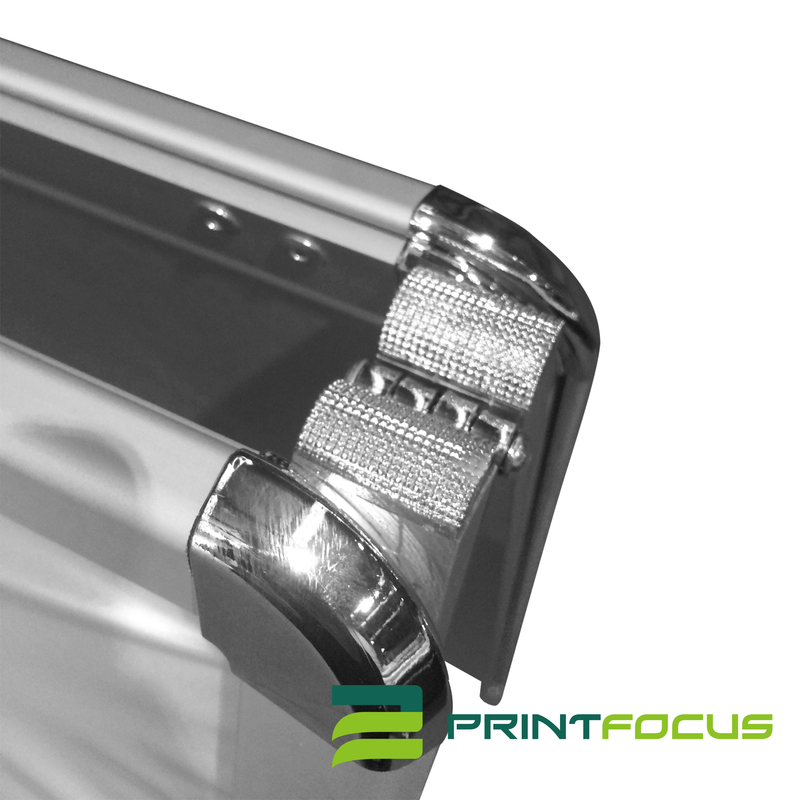 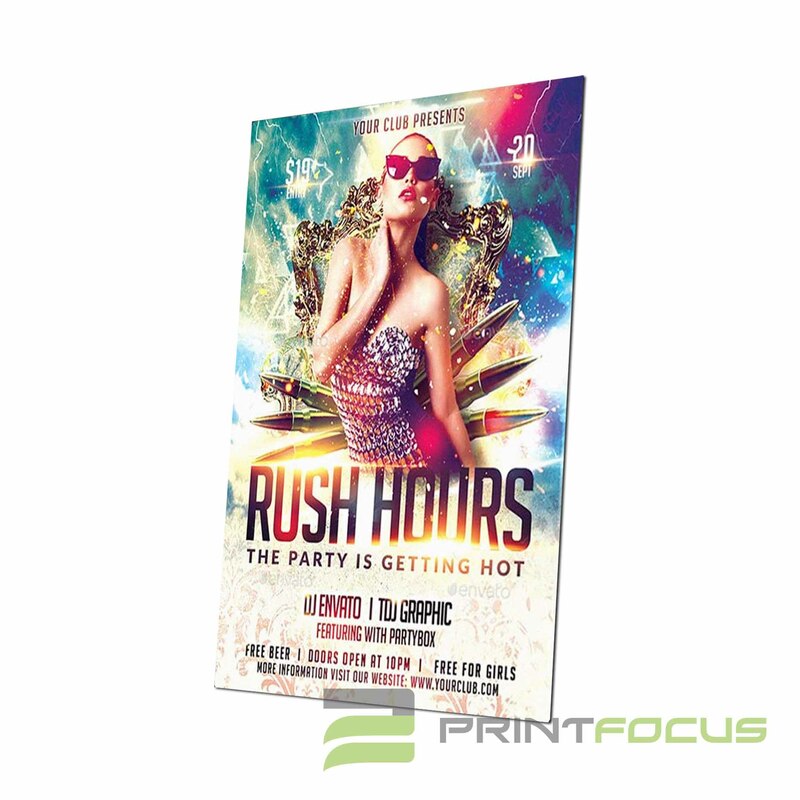 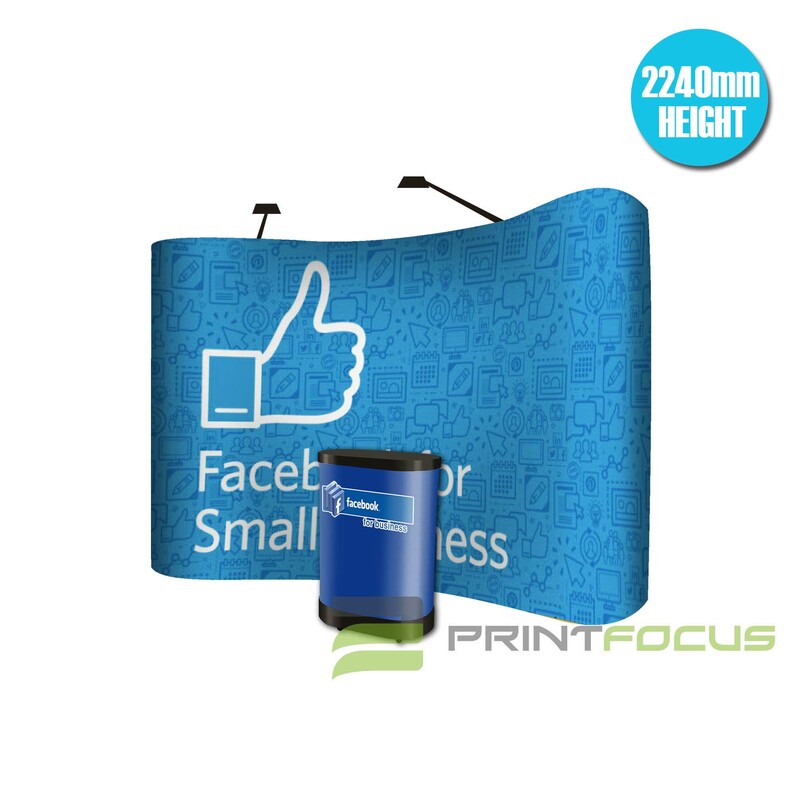 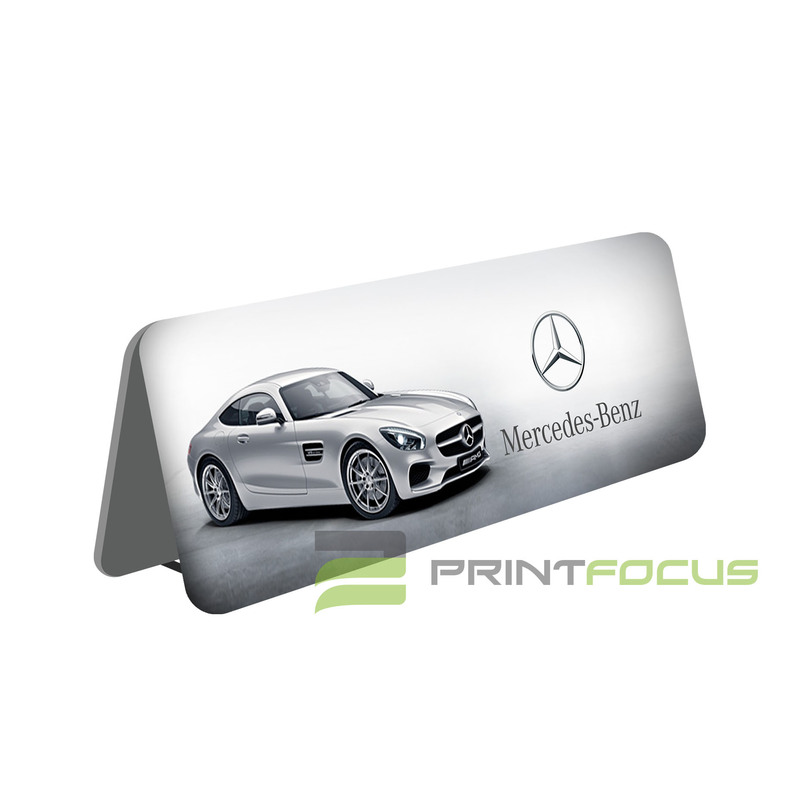 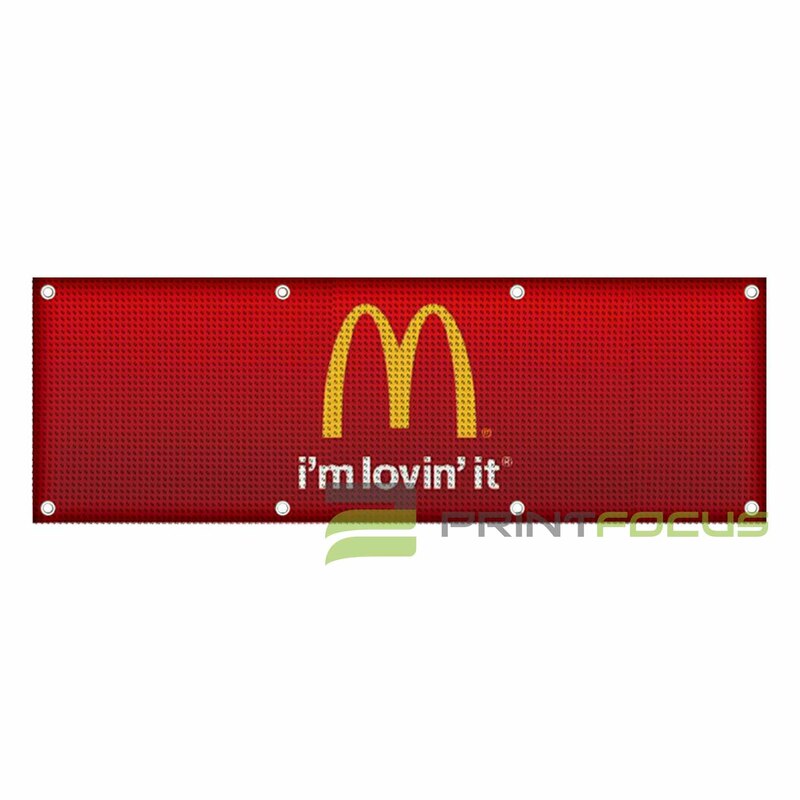 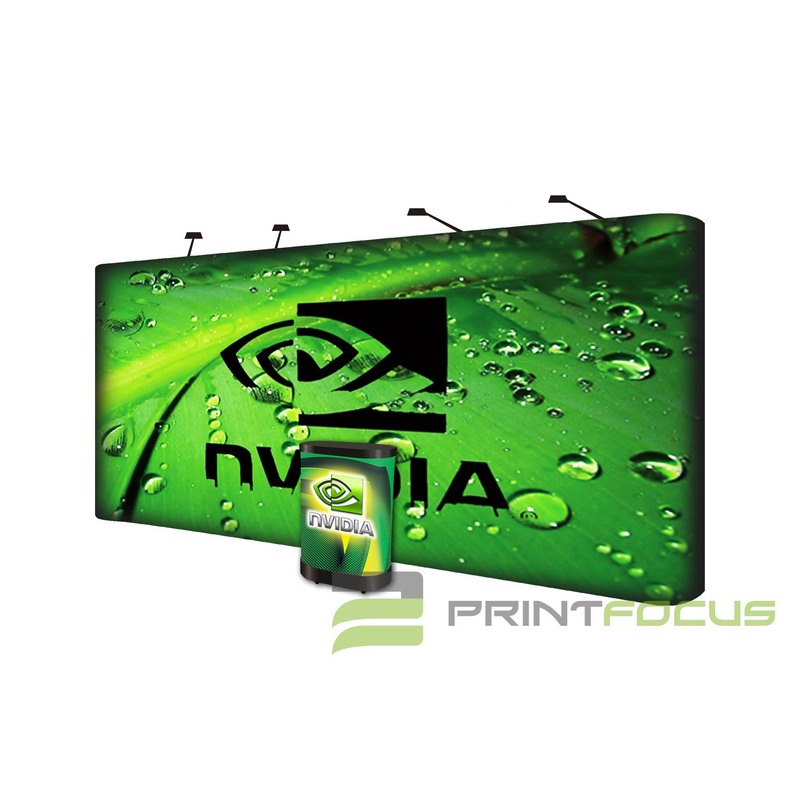 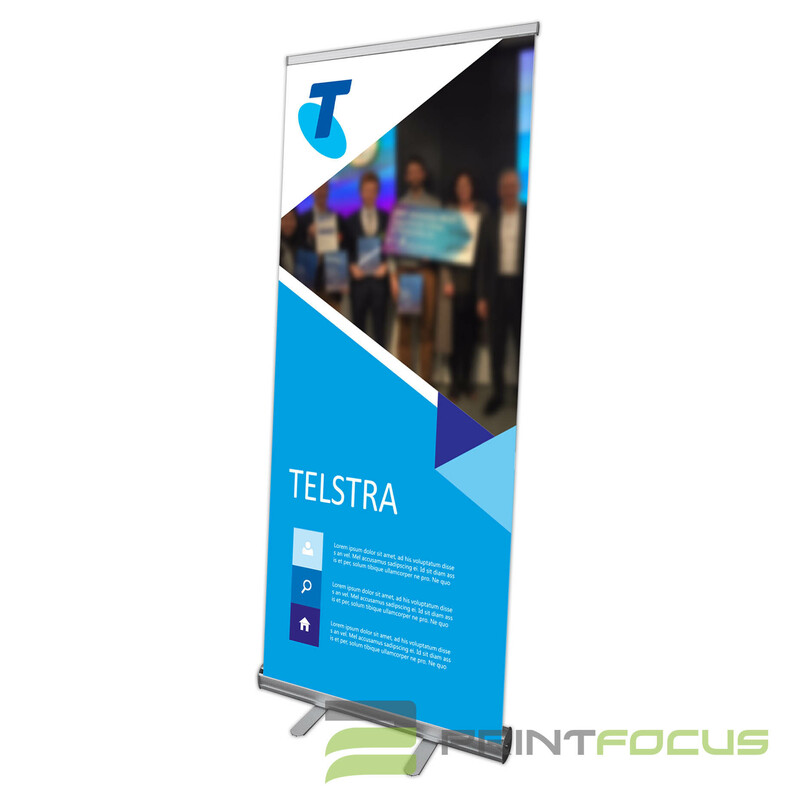 The retractable display banners with custom printing have a carrying bag included that makes transport to and from events easy for any employee. 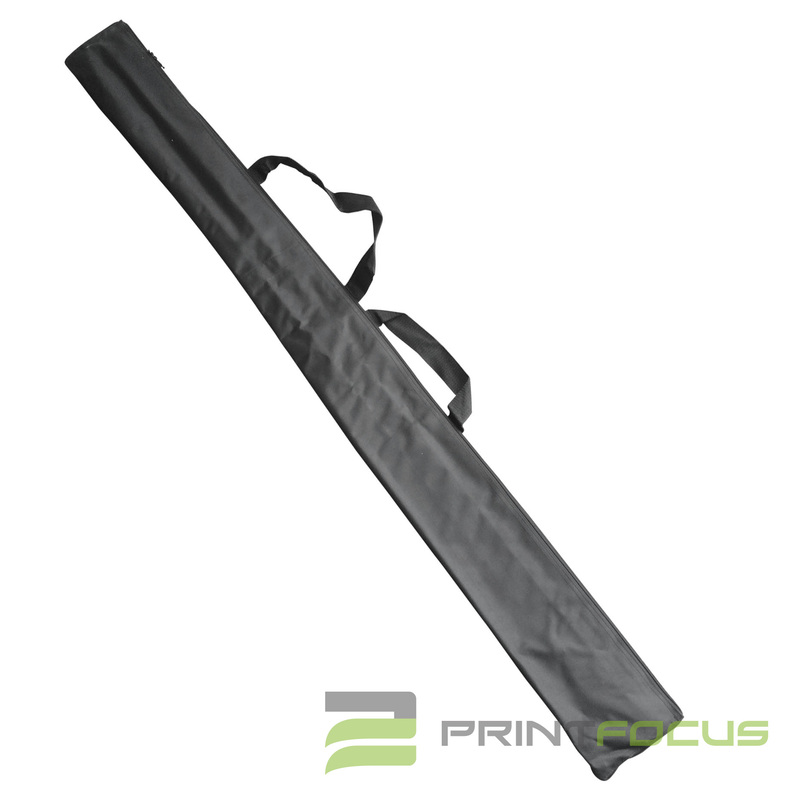 The shoulder strap helps offset the lightweight display in order to lessen the burden. 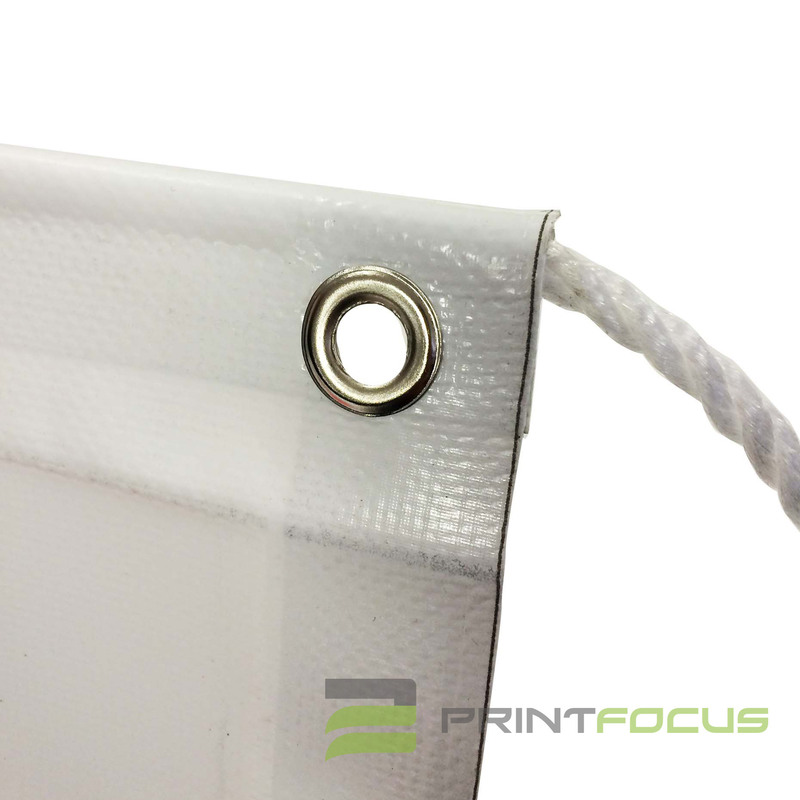 This bag is also helpful in keeping grime or dust from gathering on the exhibition display in between uses to maintain a professional appearance! 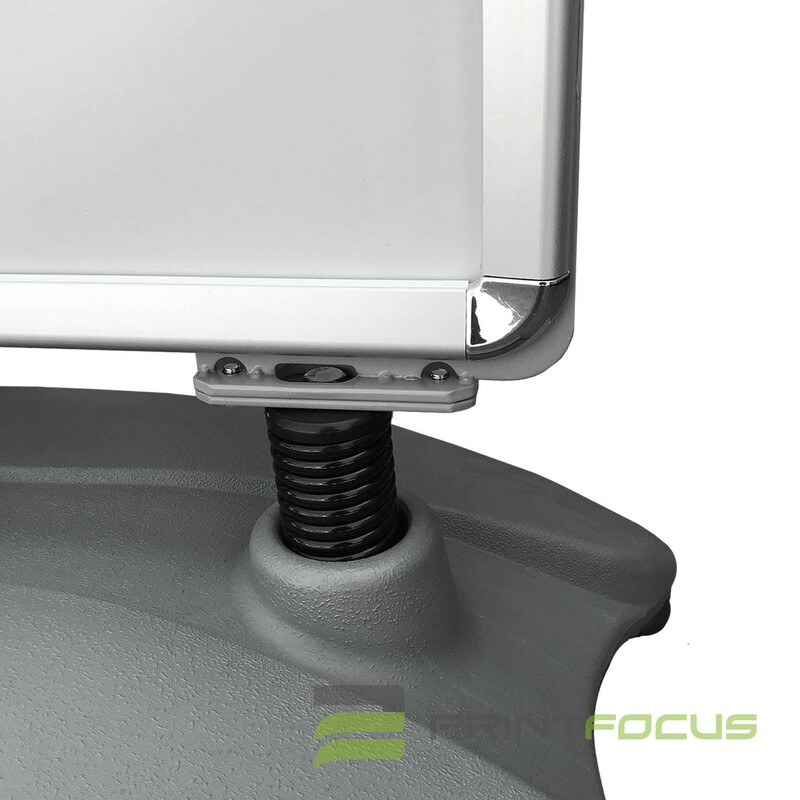 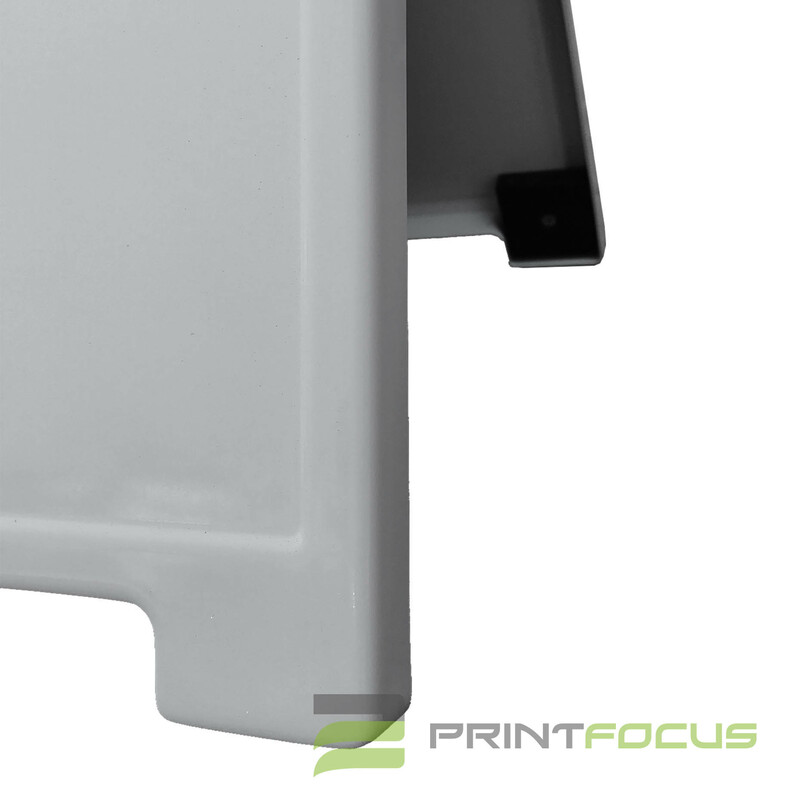 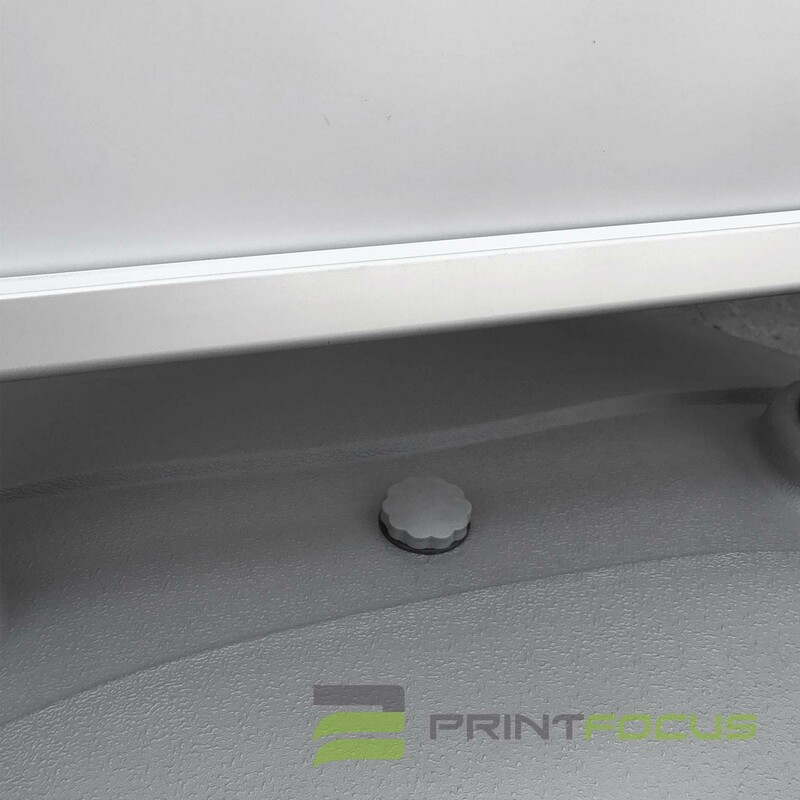 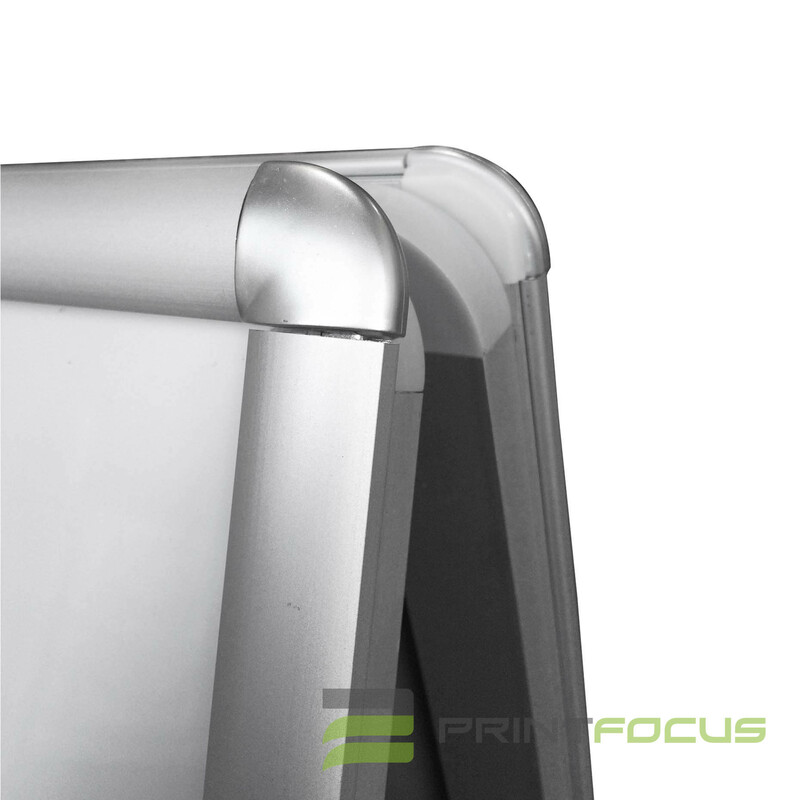 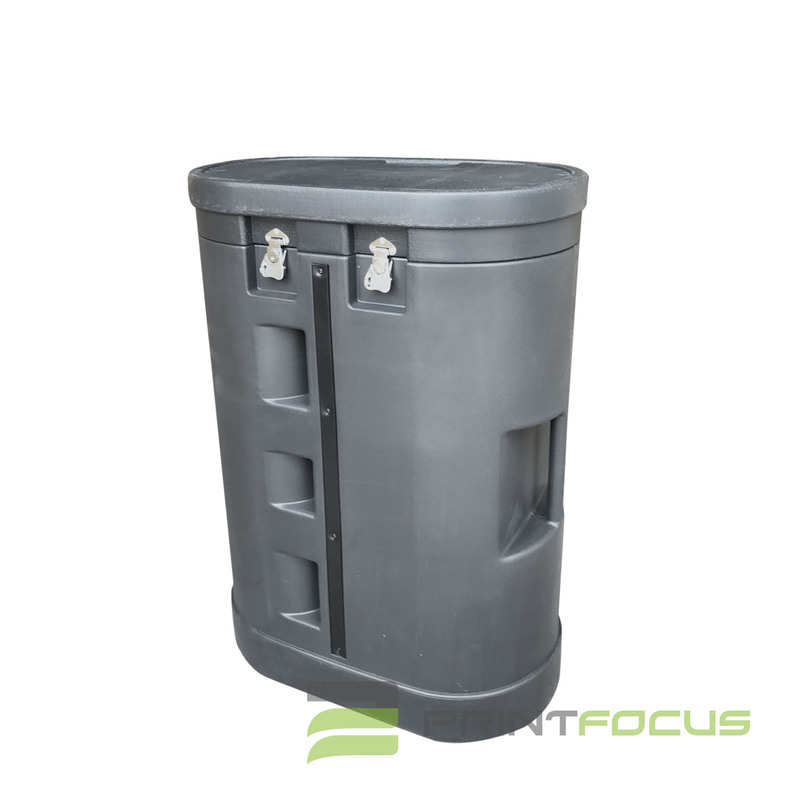 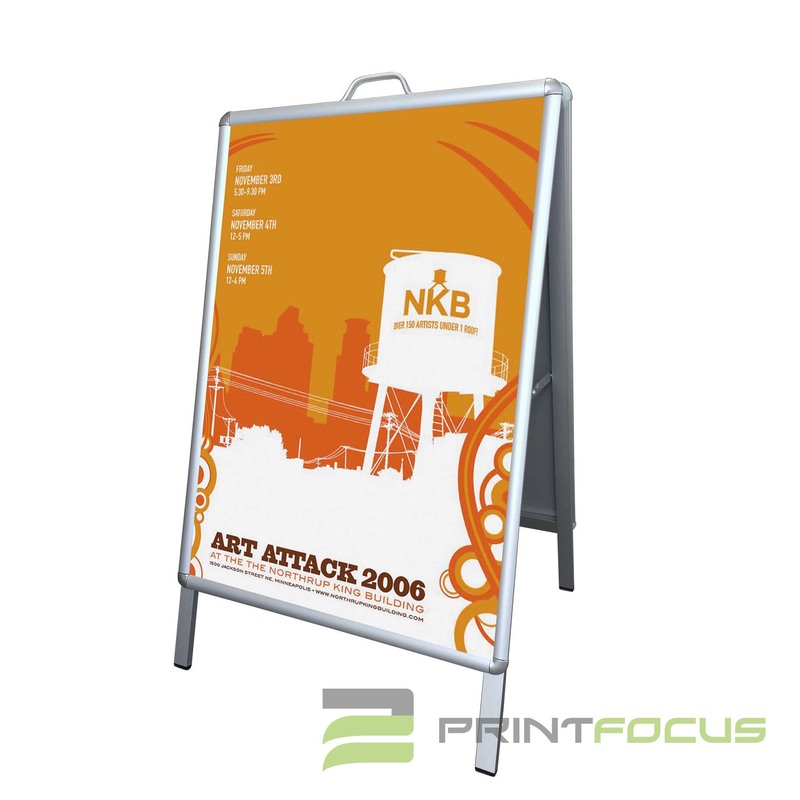 The base of this unit is made from heavy duty aluminium, offering a durable display that is meant for use in heavily-trafficked public areas for years to come. 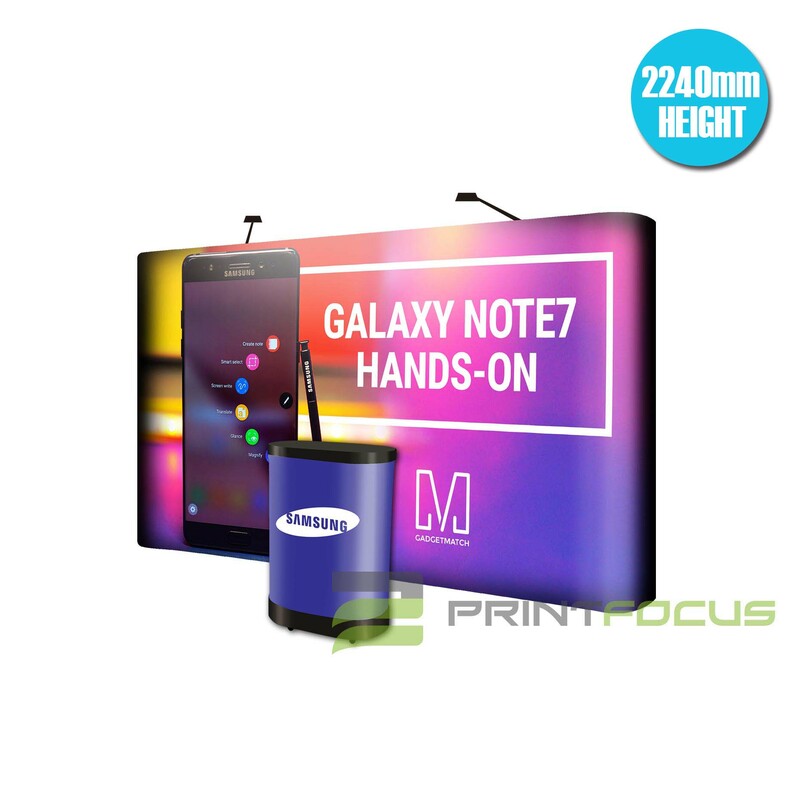 This display is an ideal retractable display, able to maximise display space whilst offering an eye-catching graphic that promotes your business to passersby using vivid full colour graphics with a small footprint! 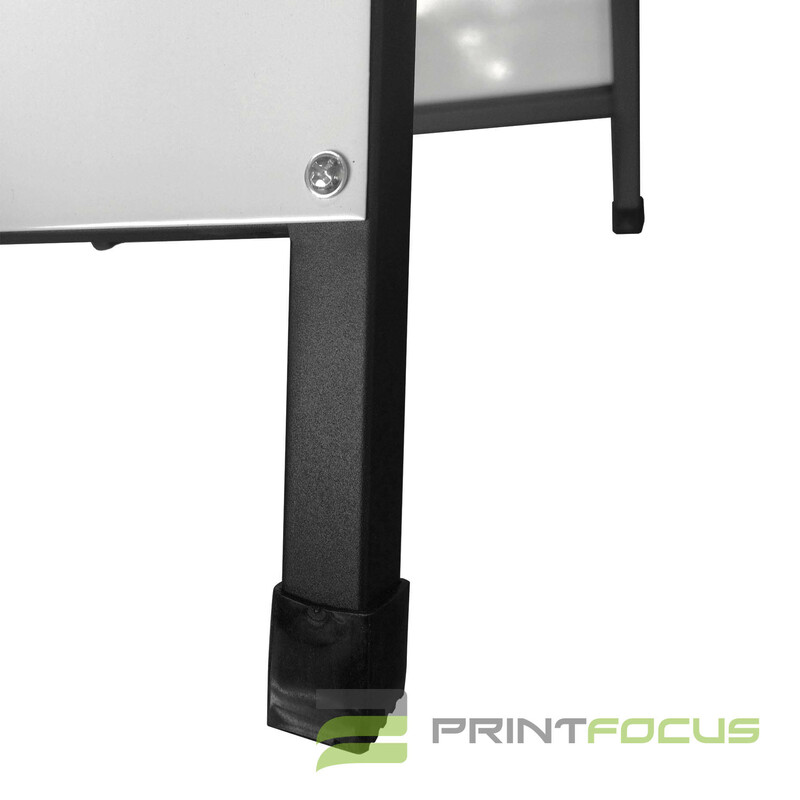 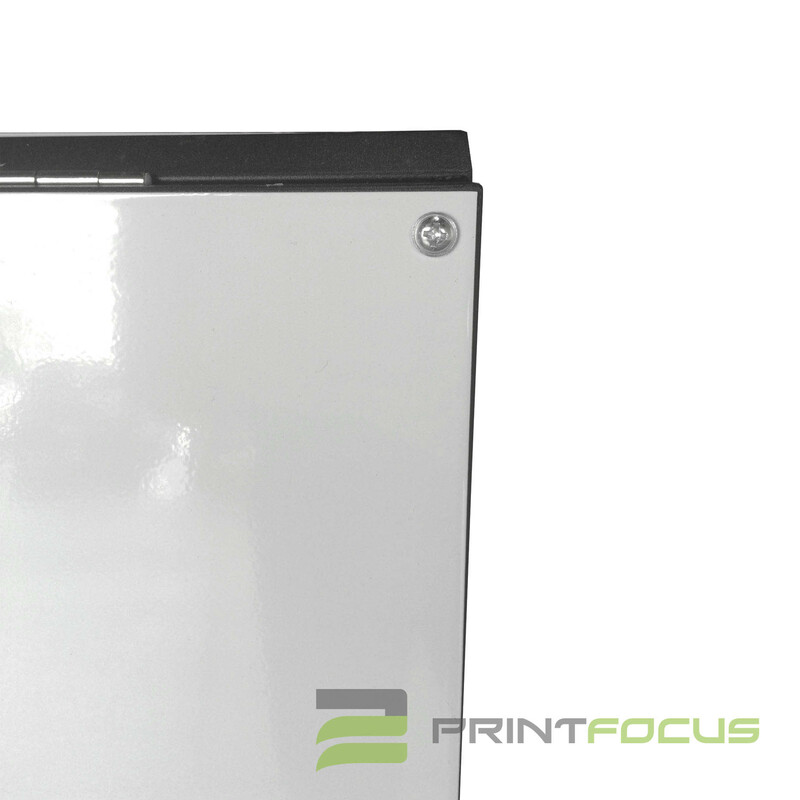 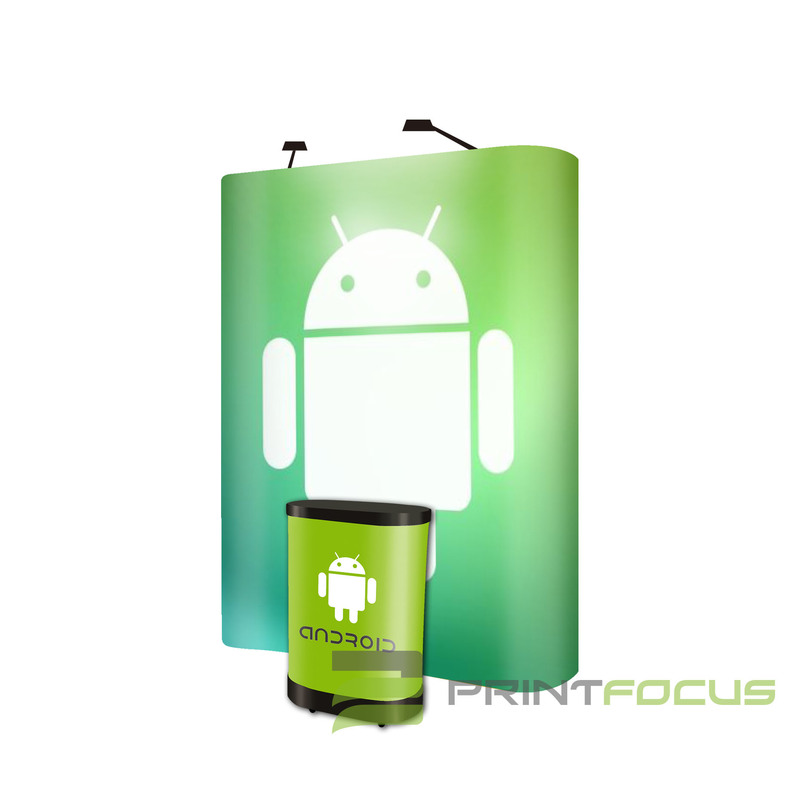 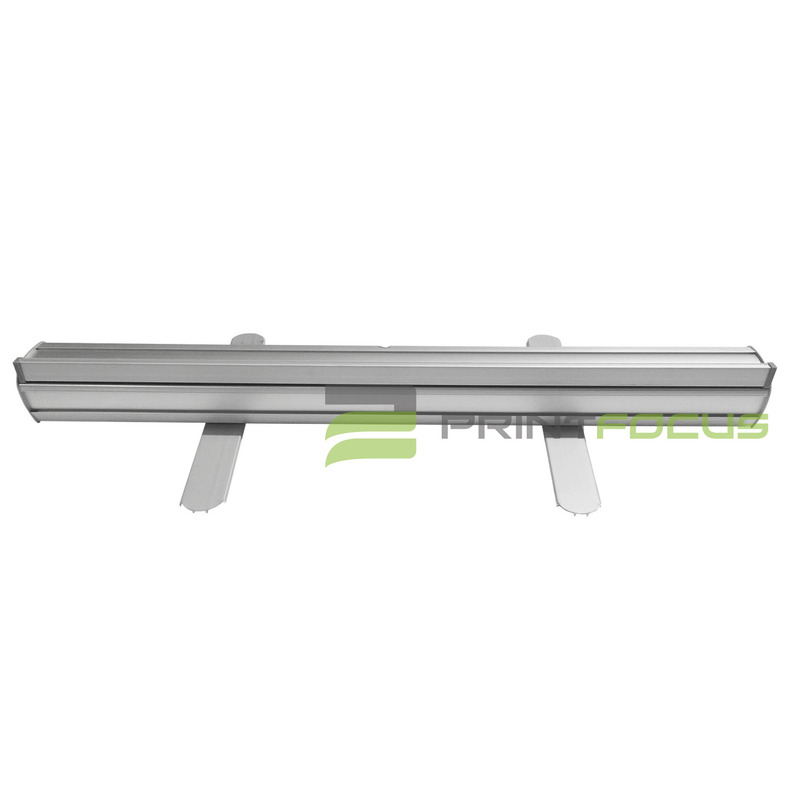 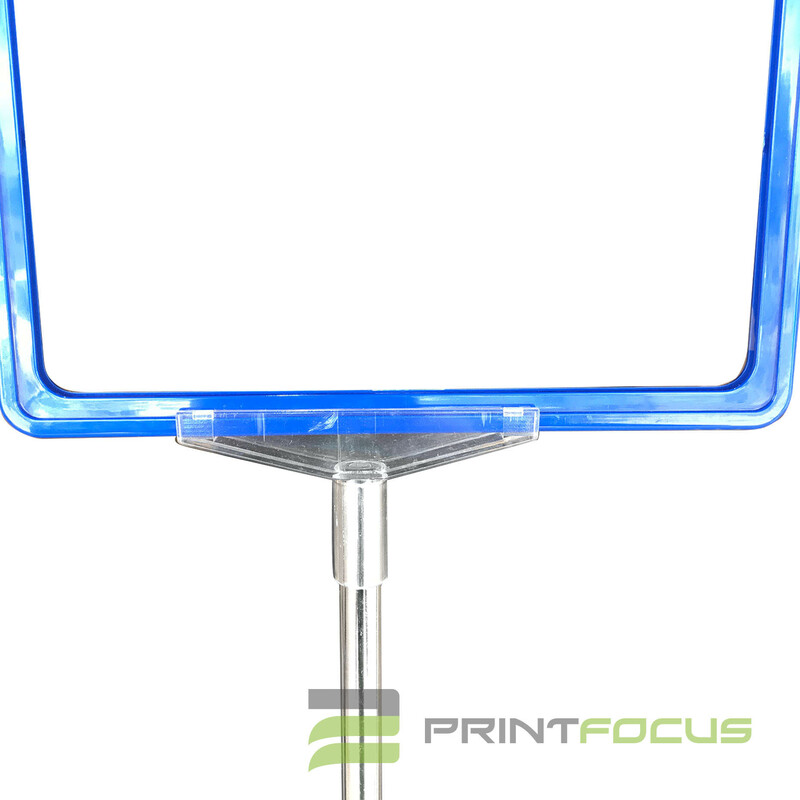 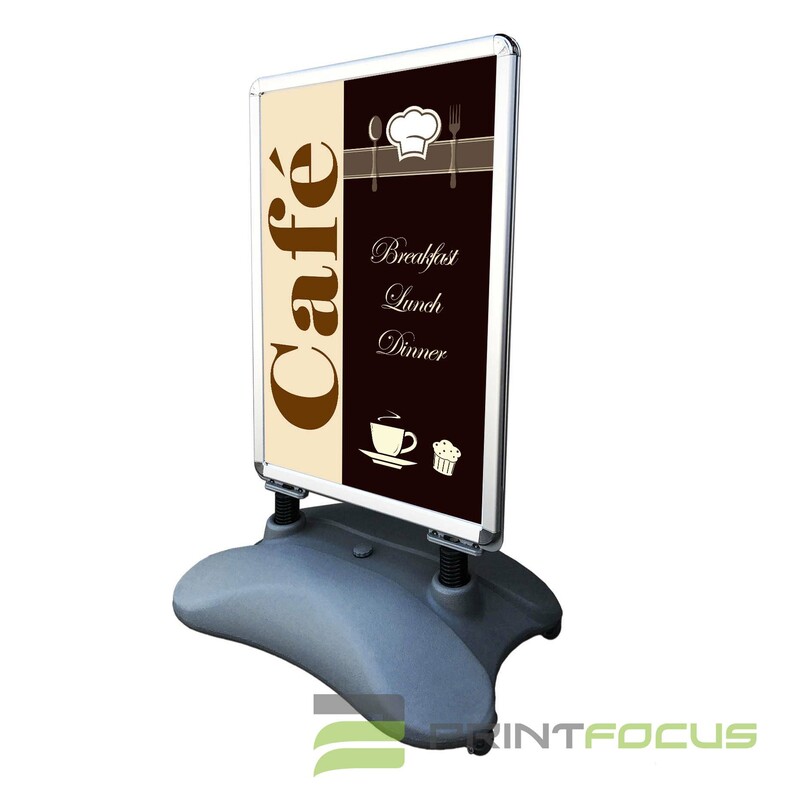 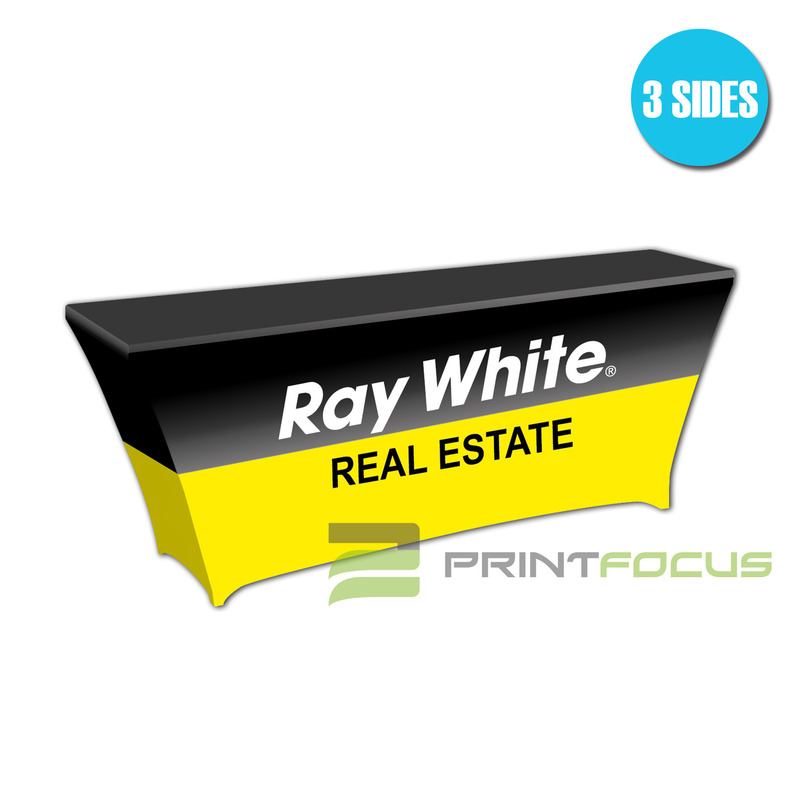 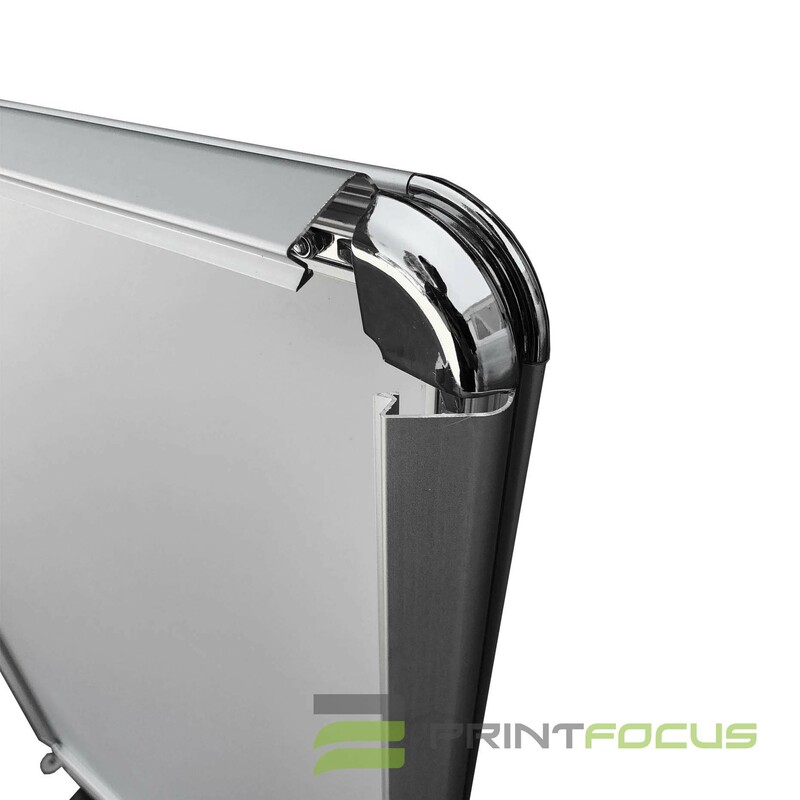 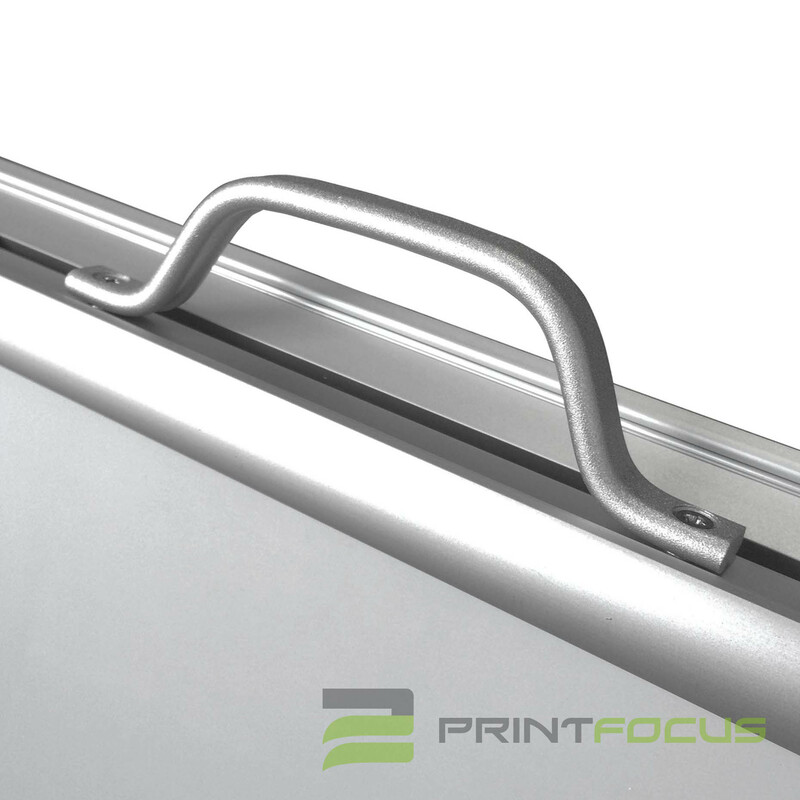 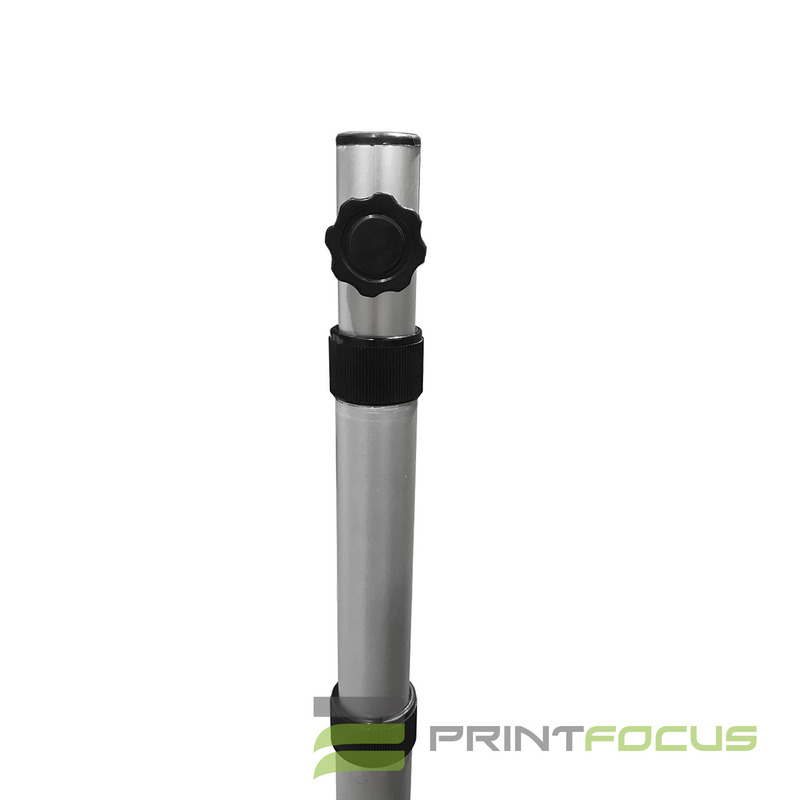 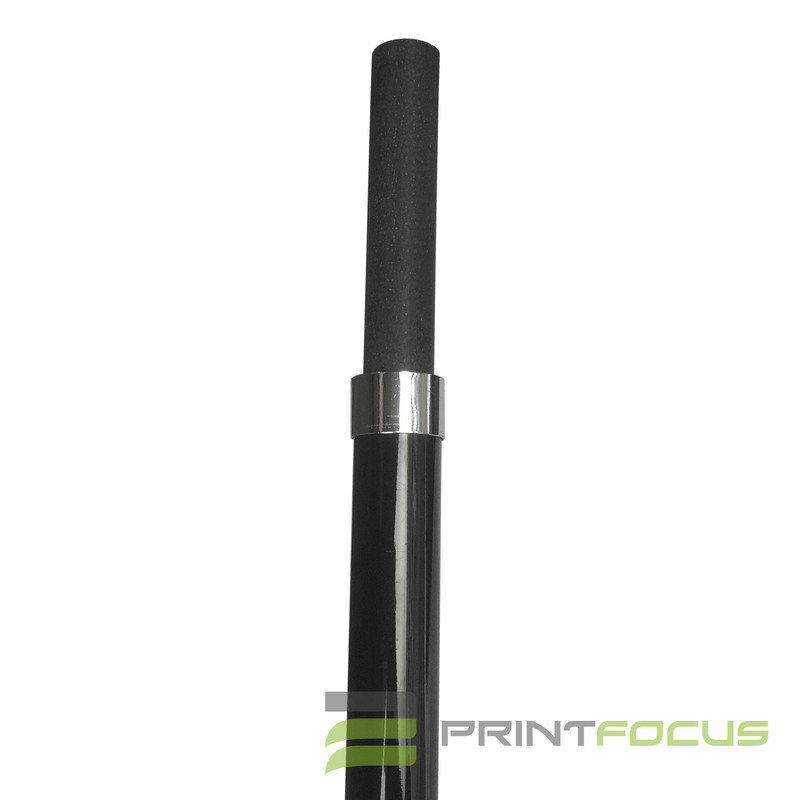 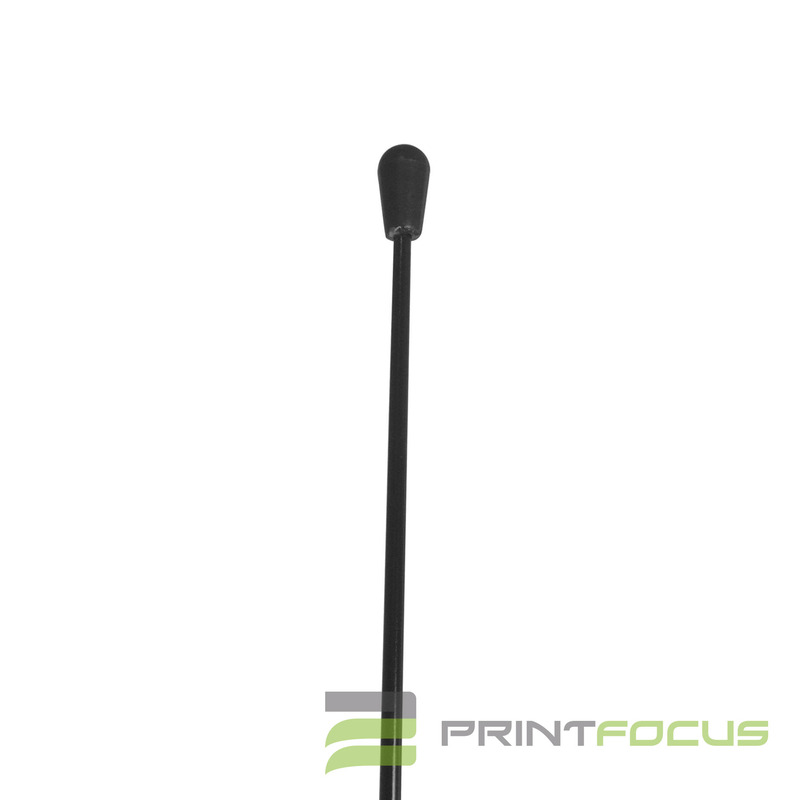 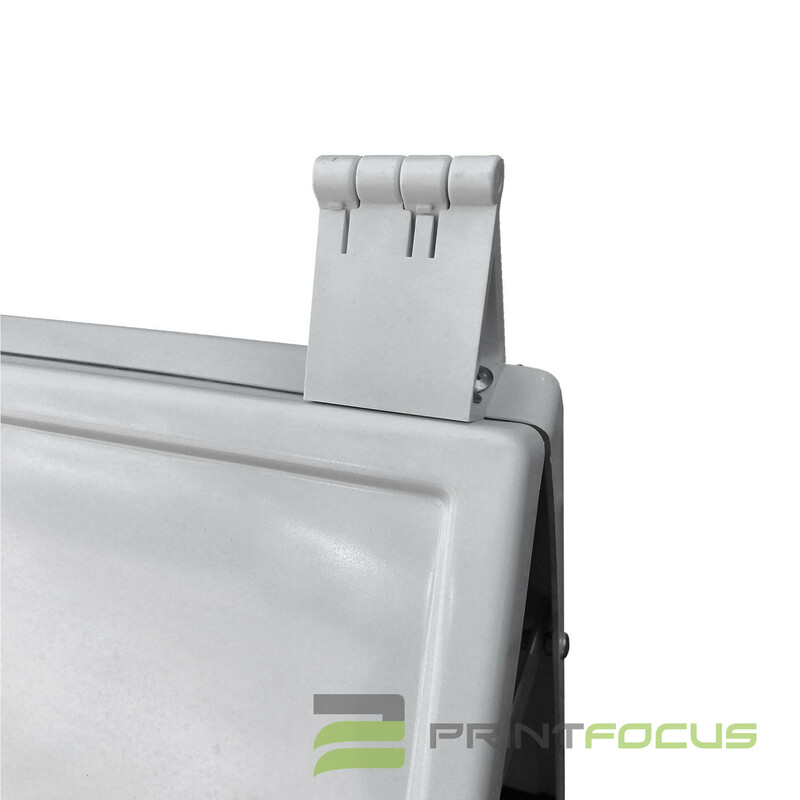 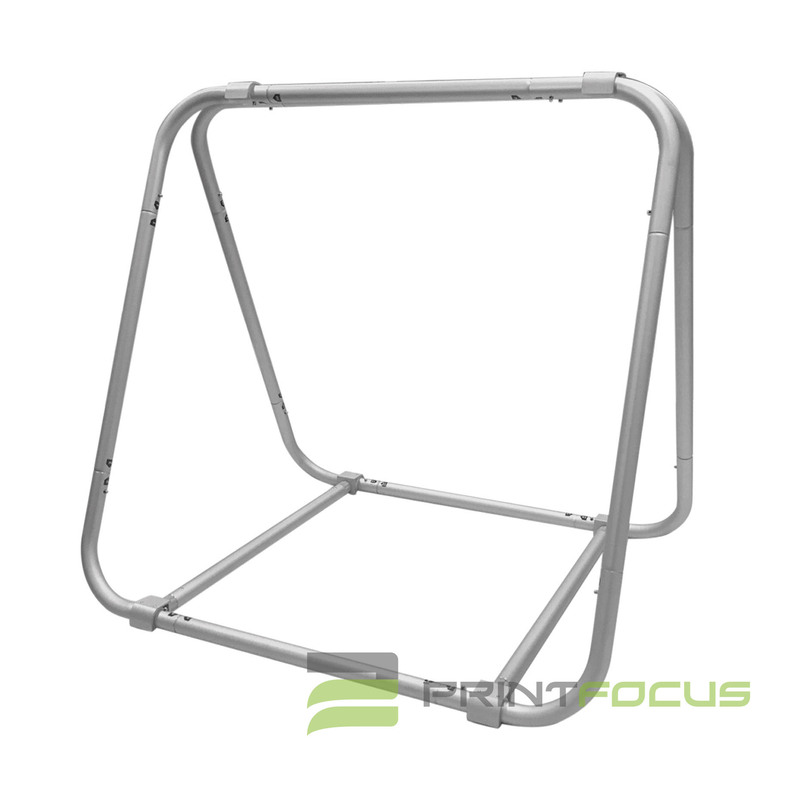 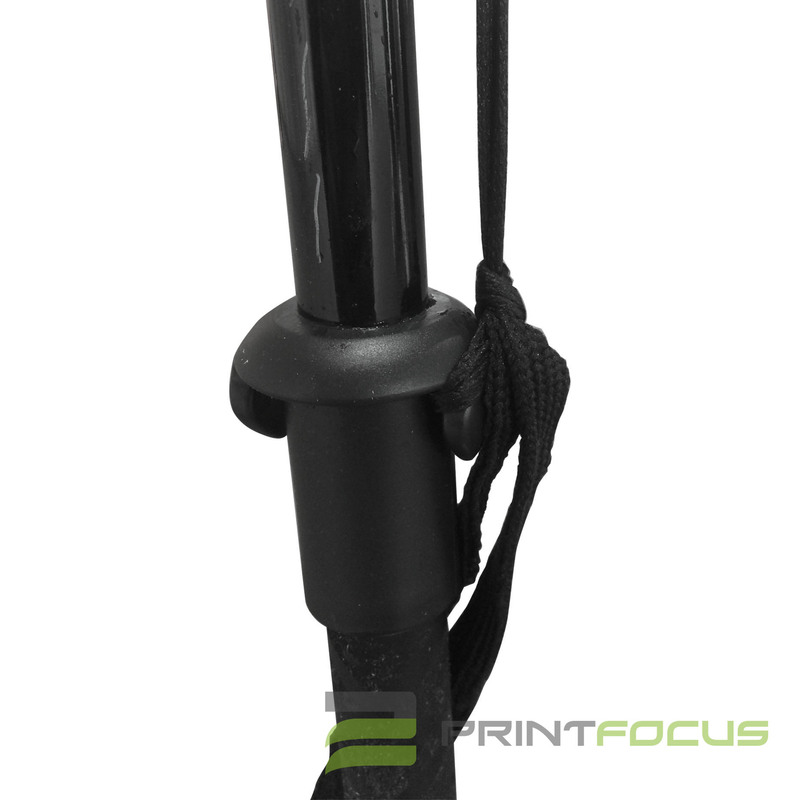 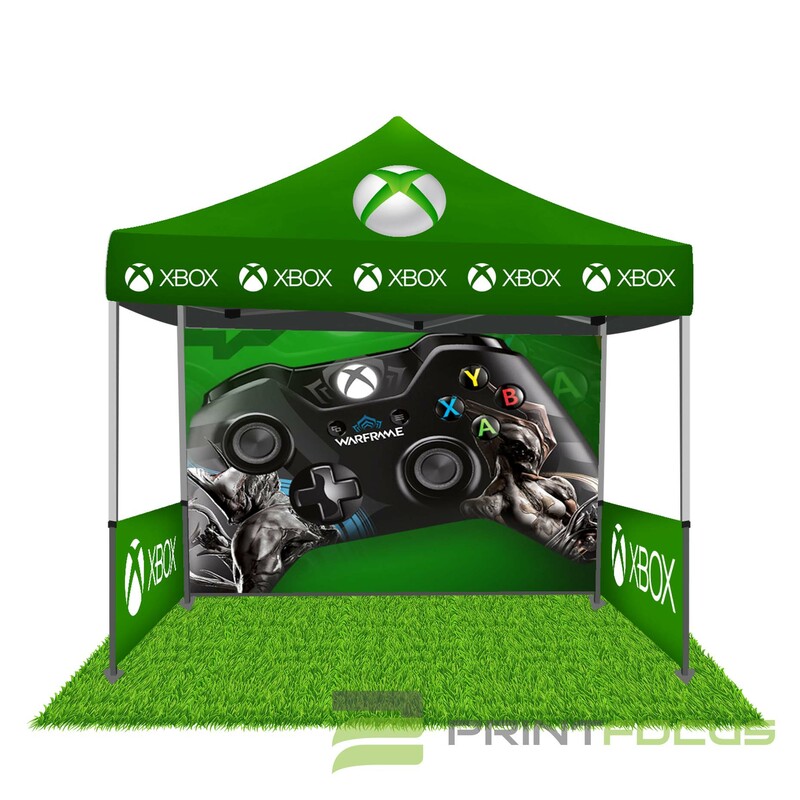 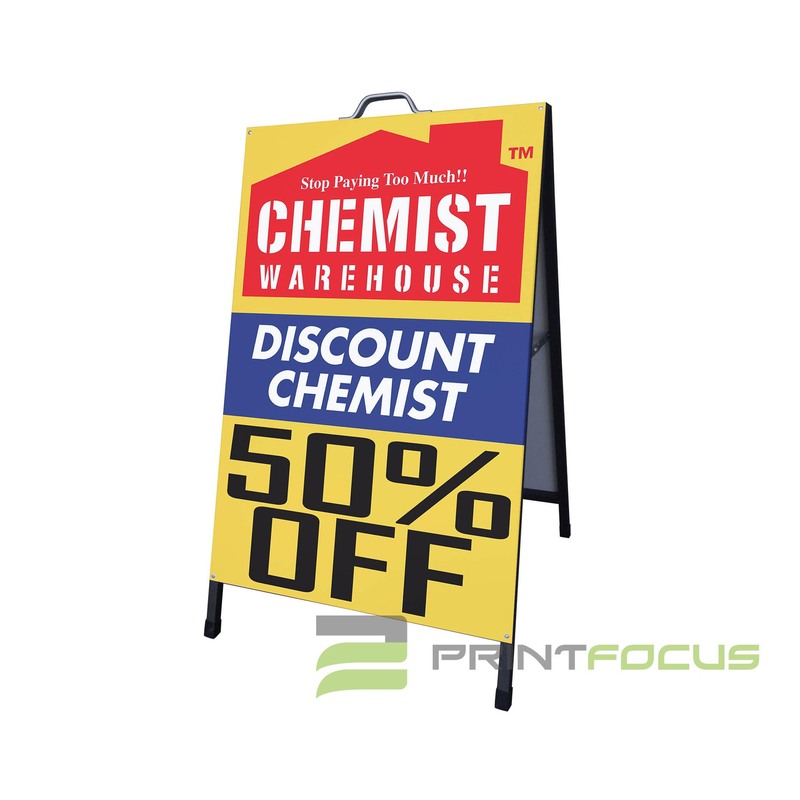 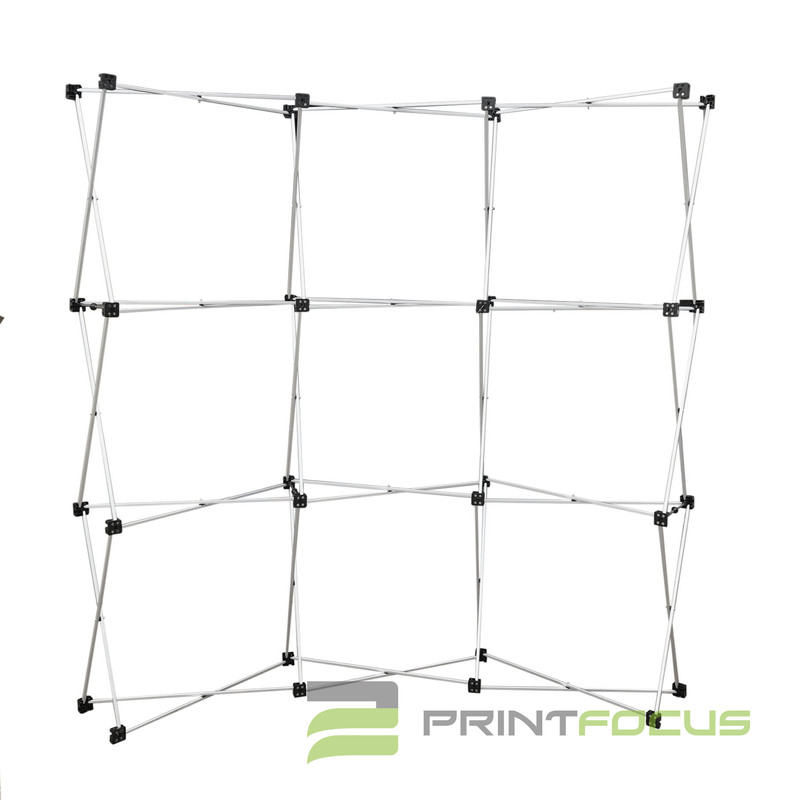 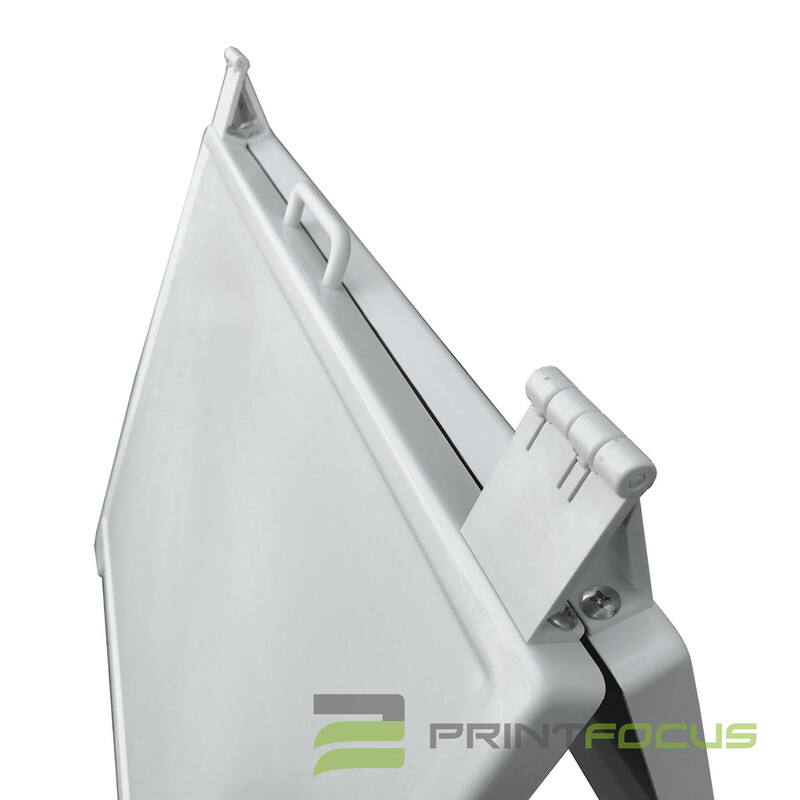 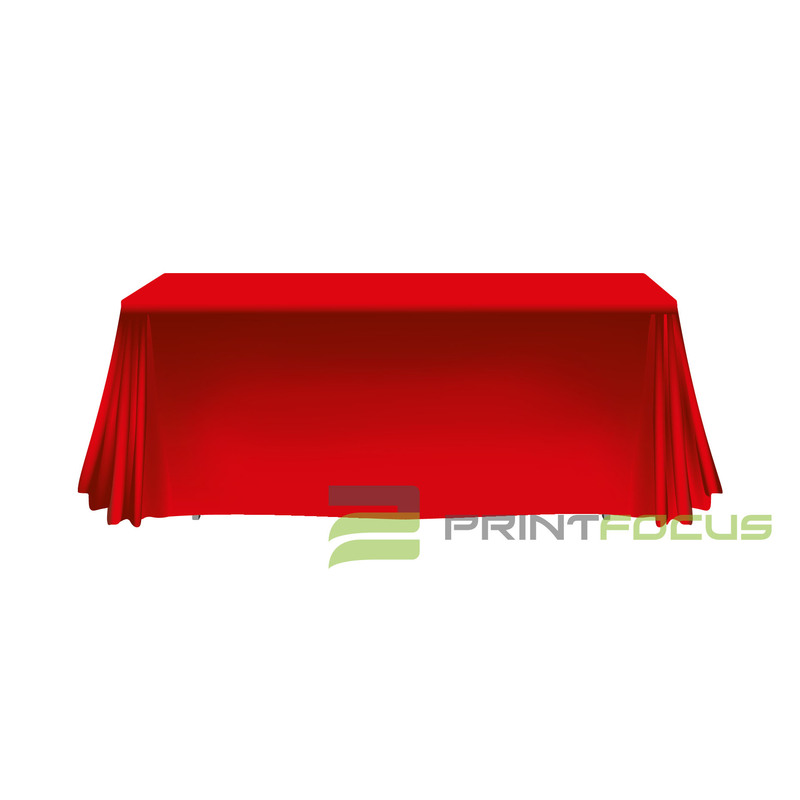 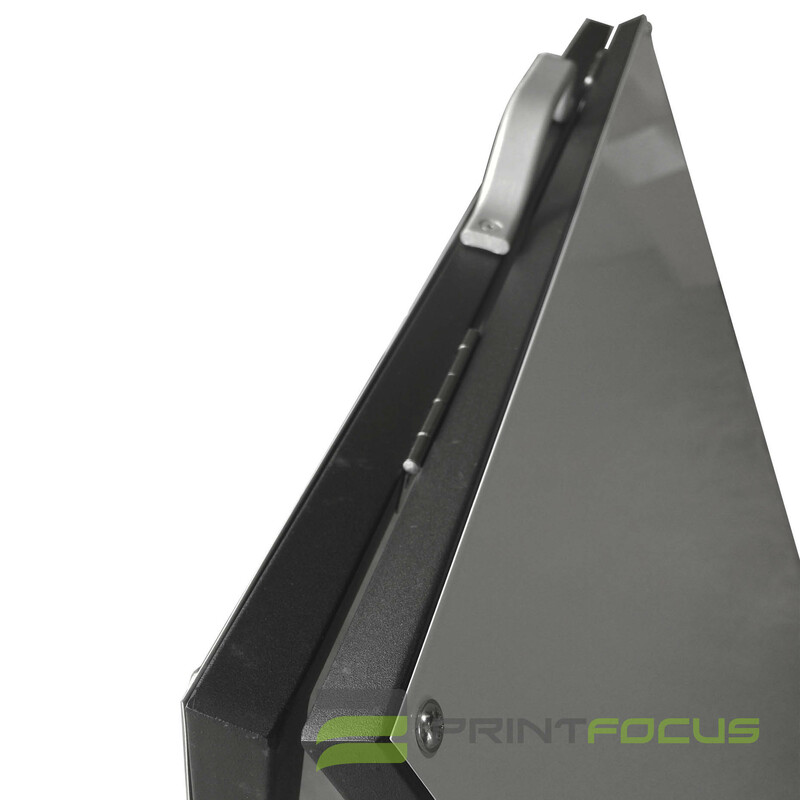 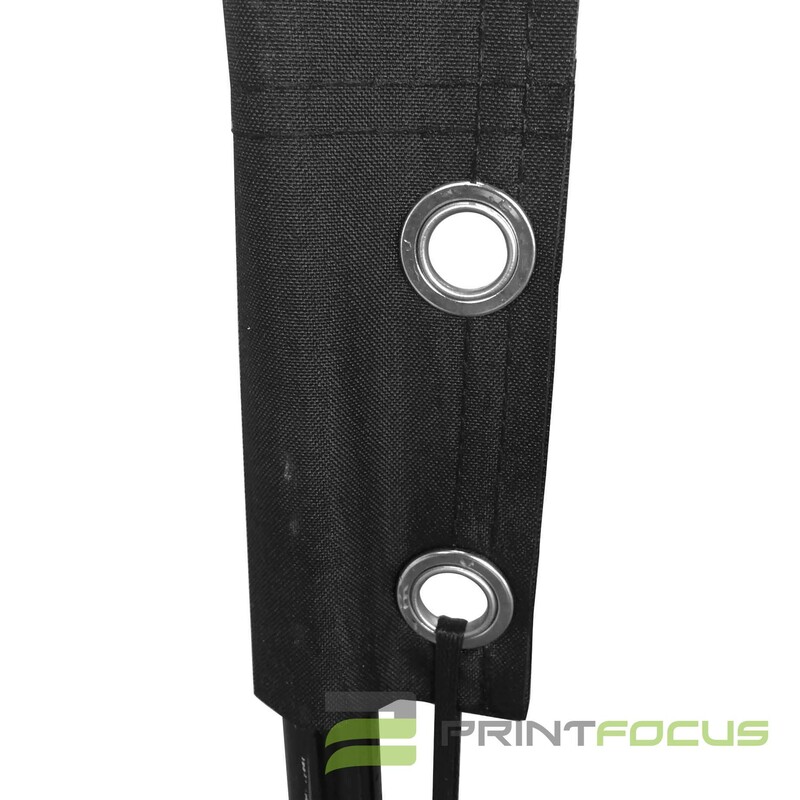 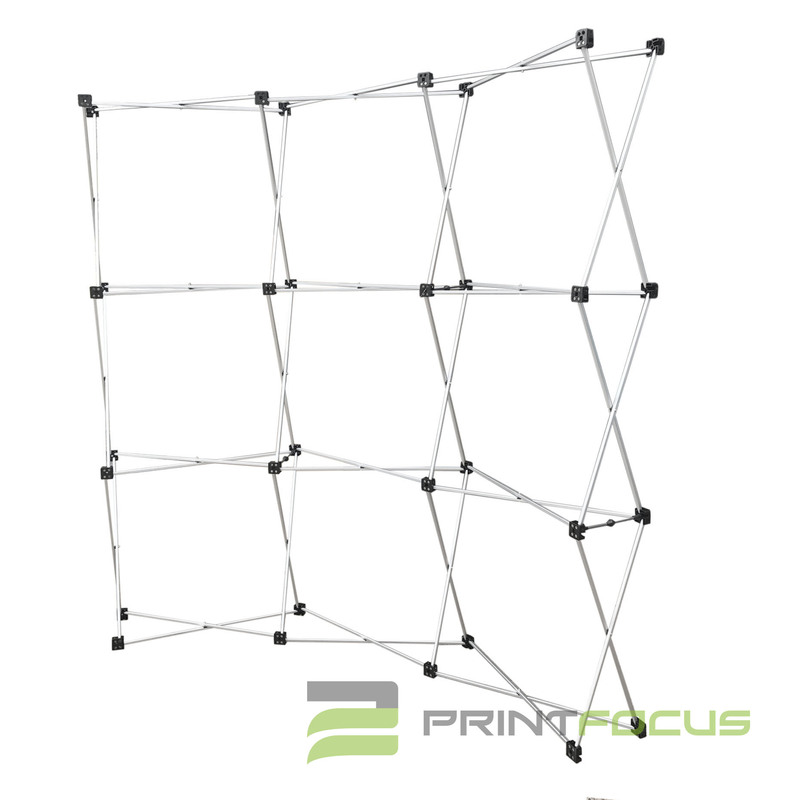 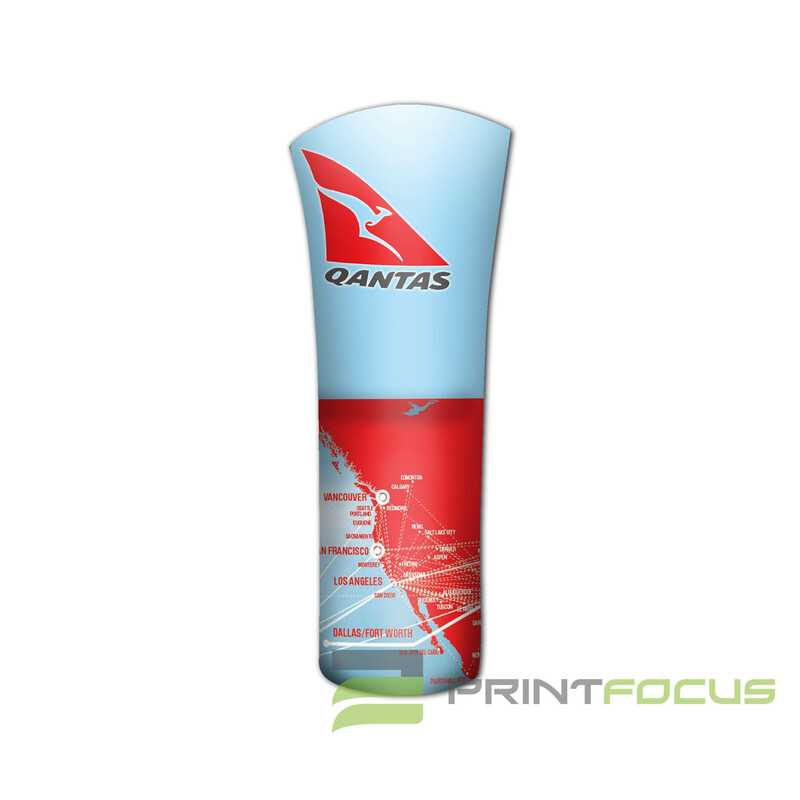 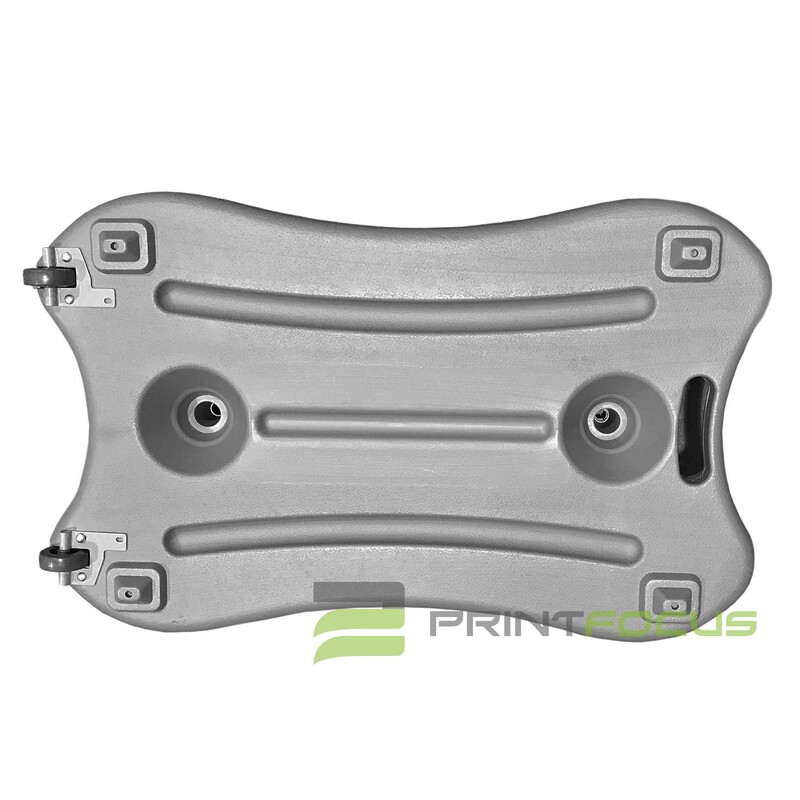 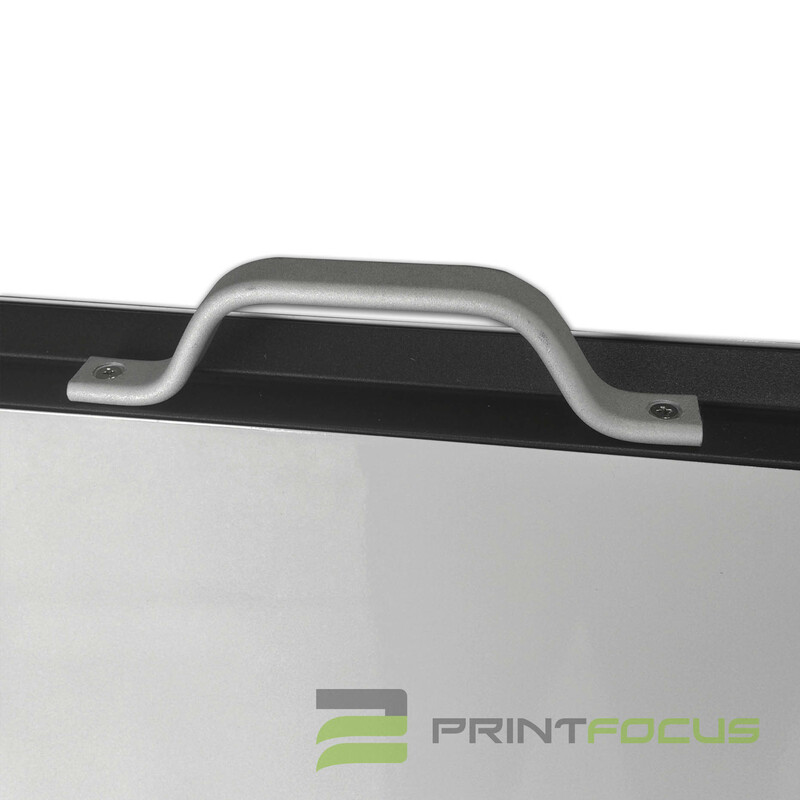 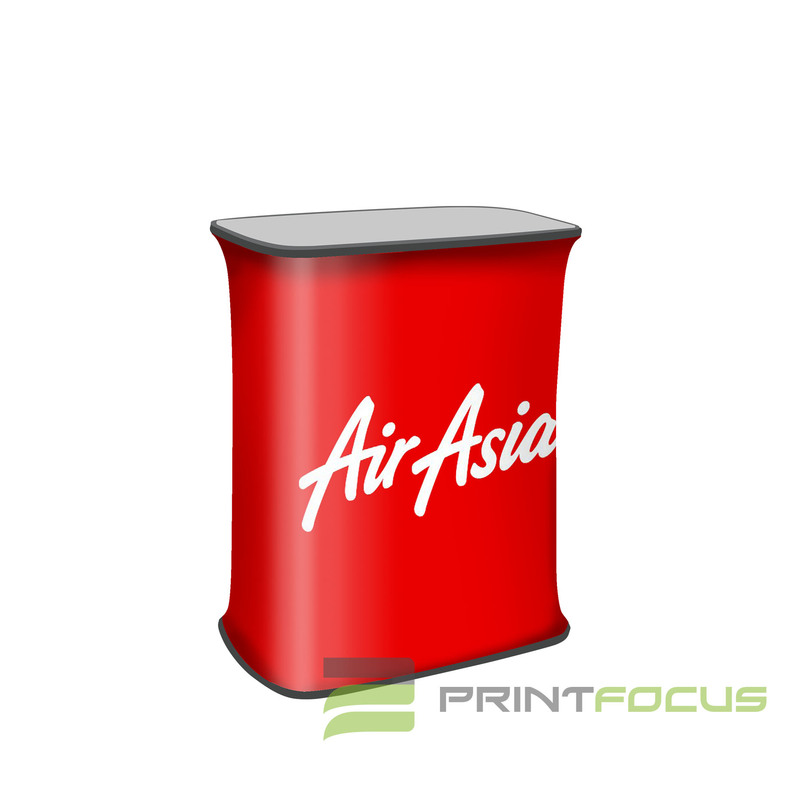 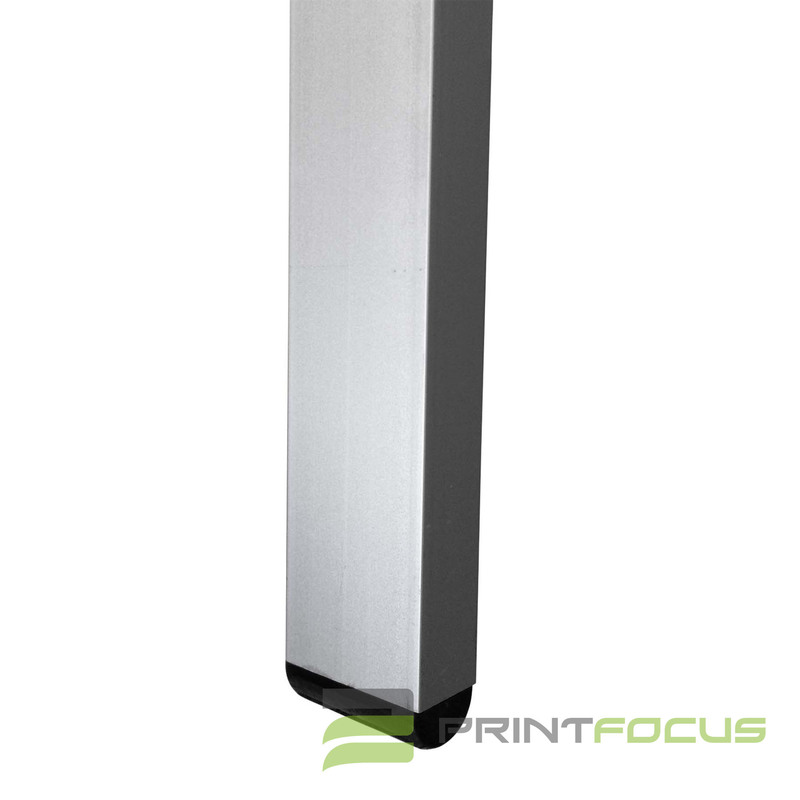 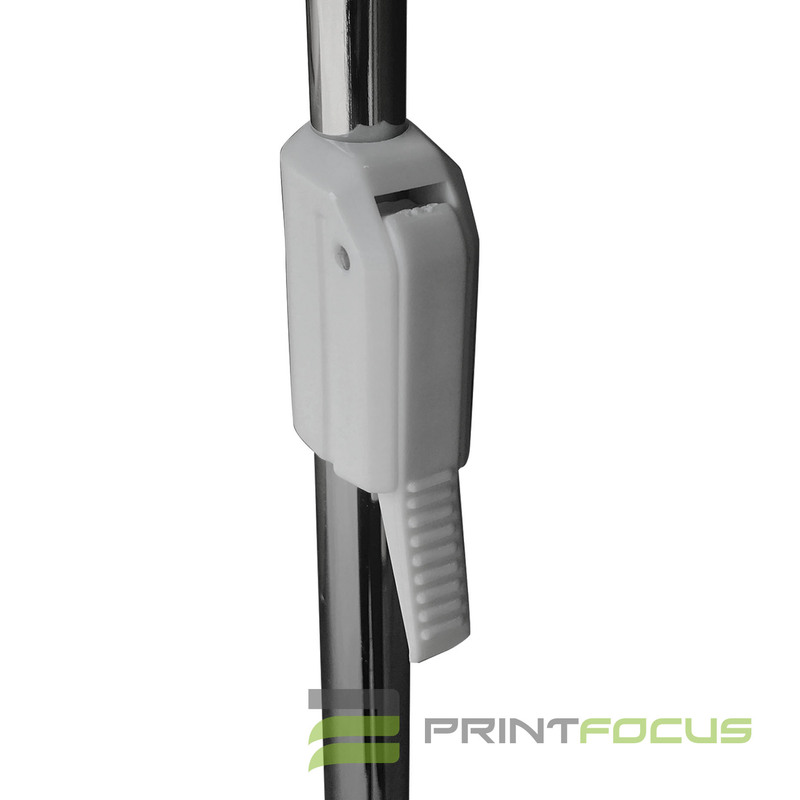 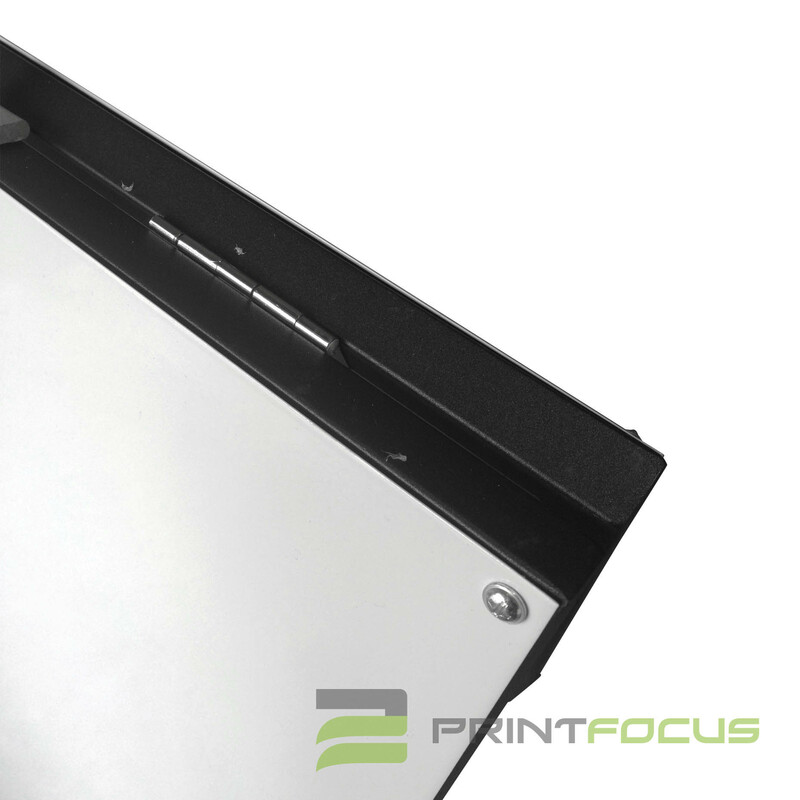 * Retractable graphic makes it easy to bring unit to and from events or store after uses! 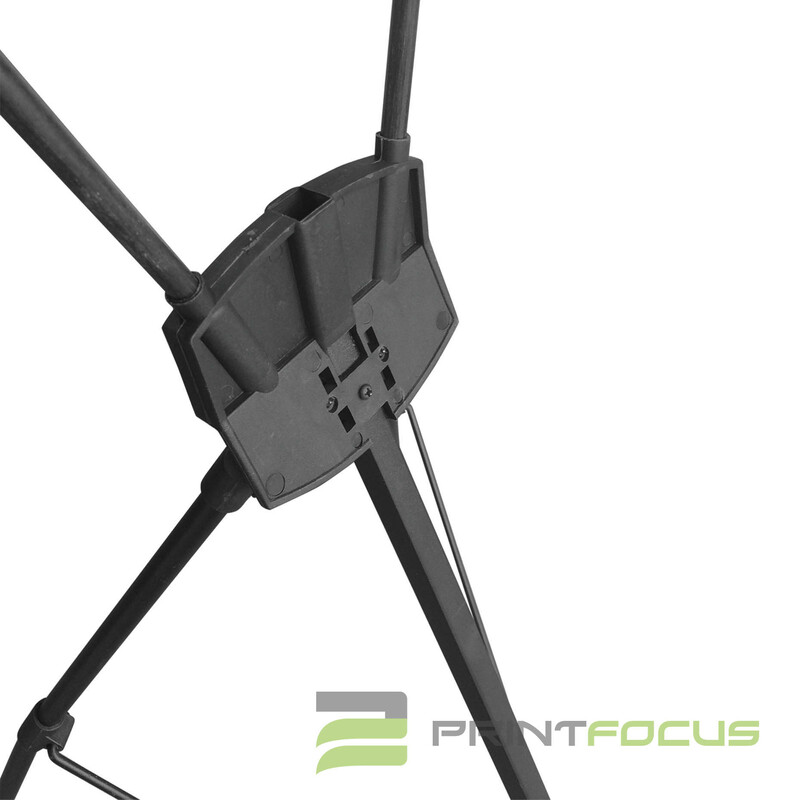 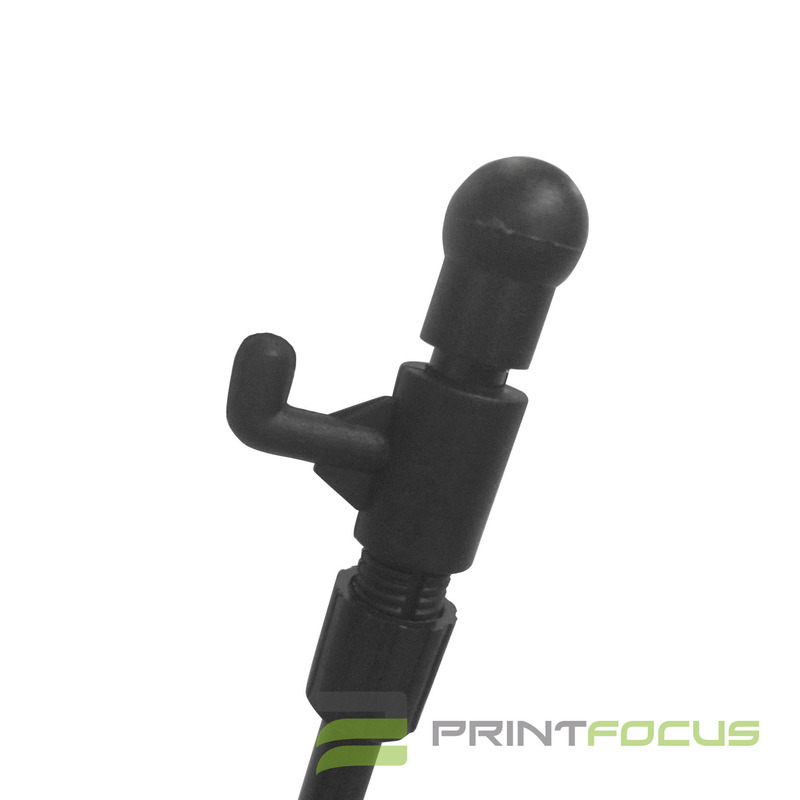 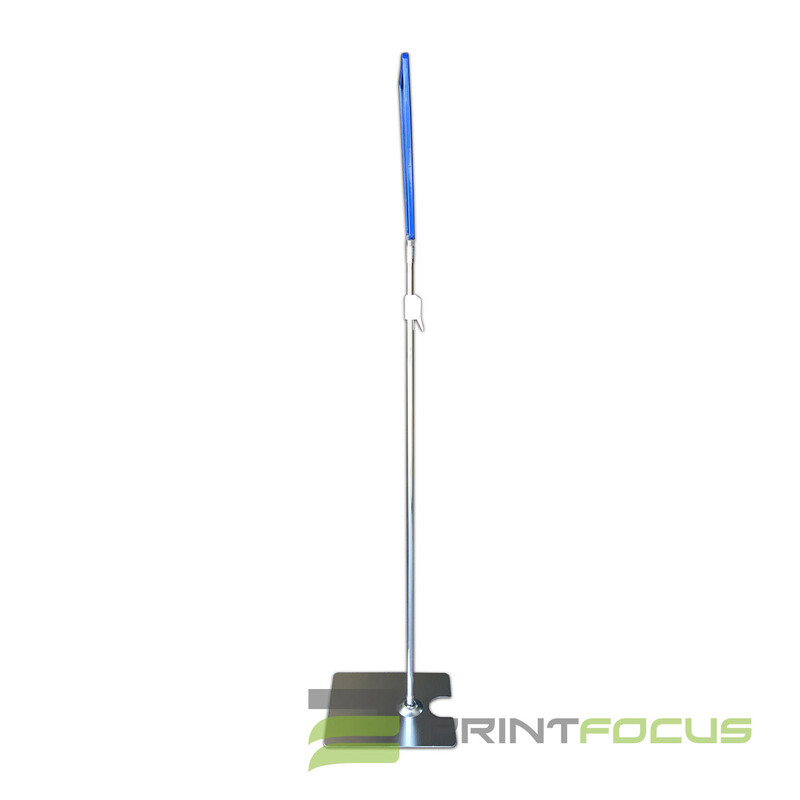 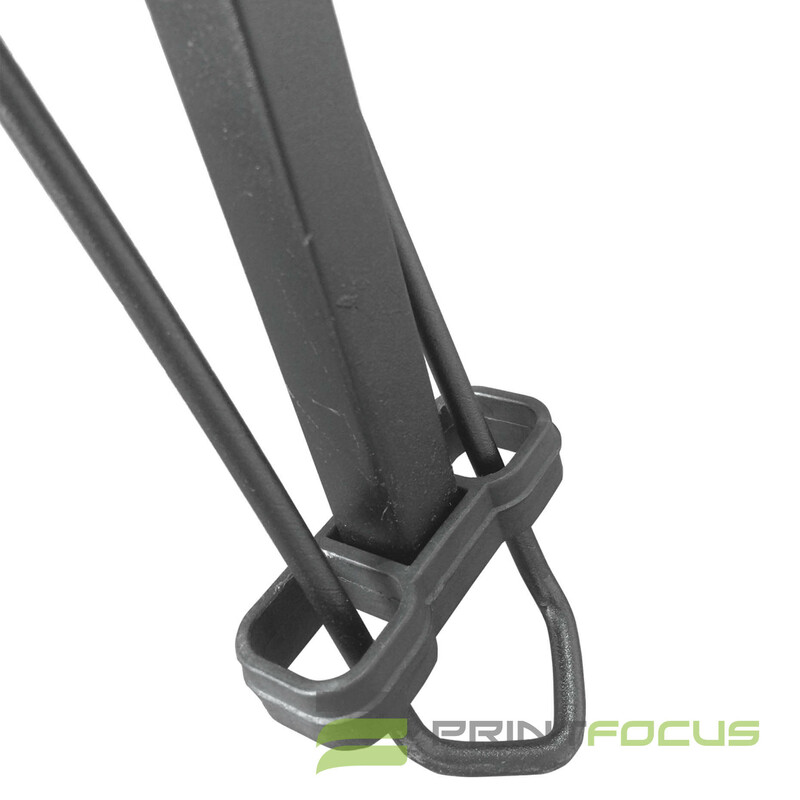 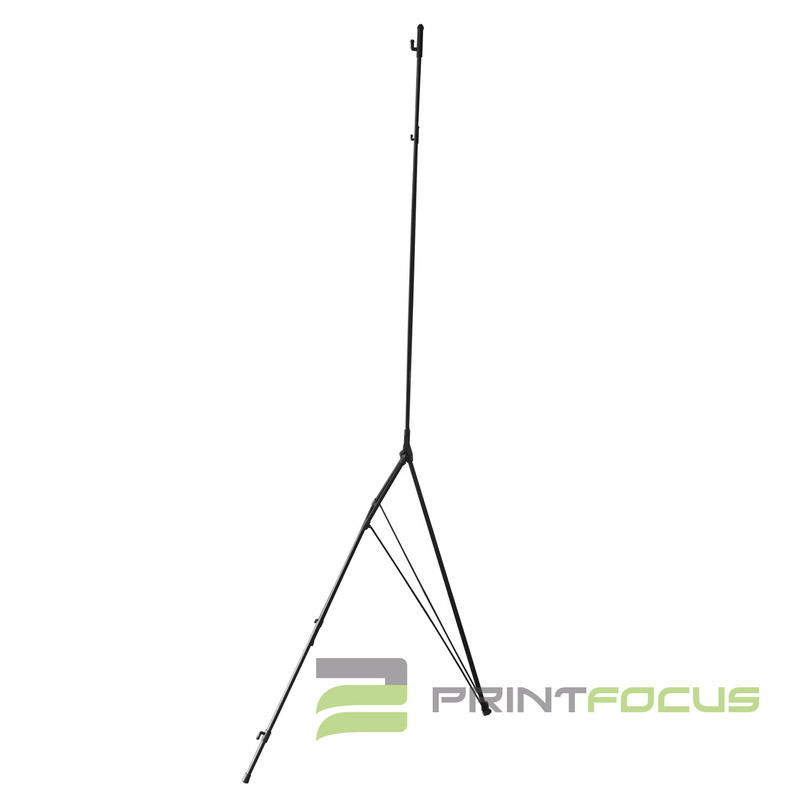 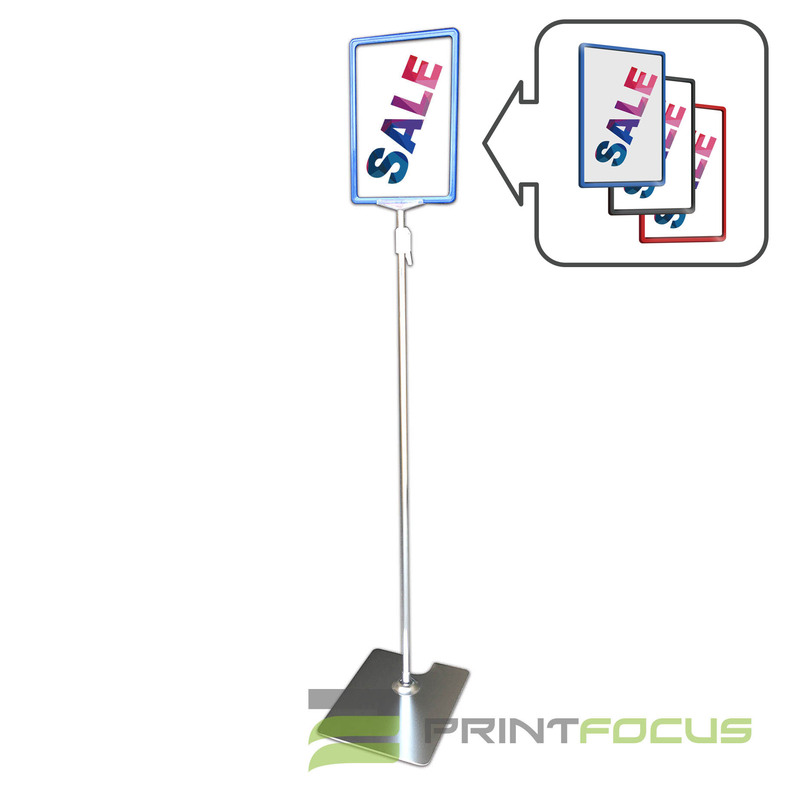 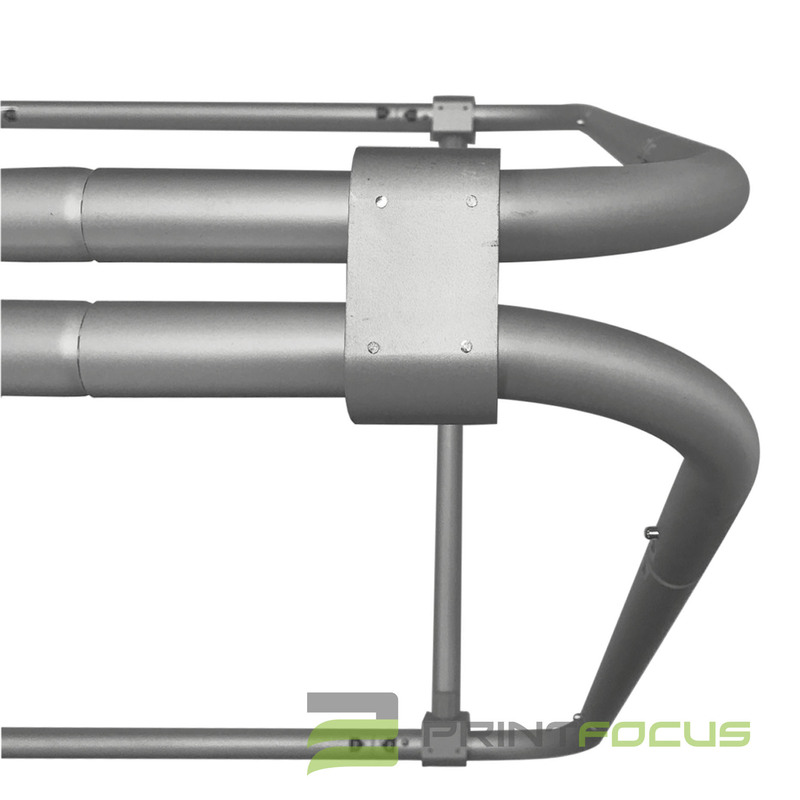 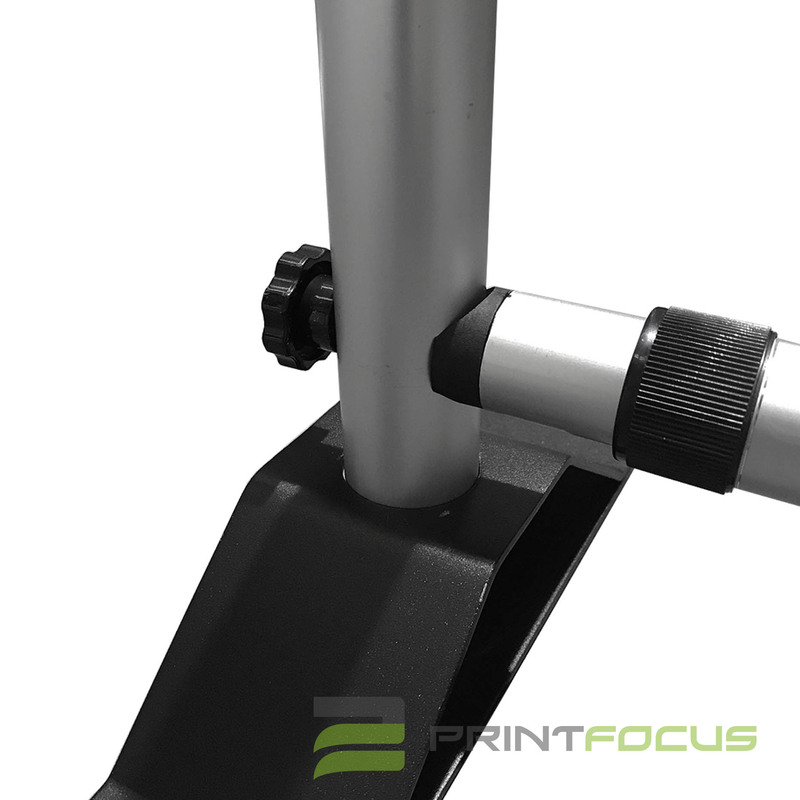 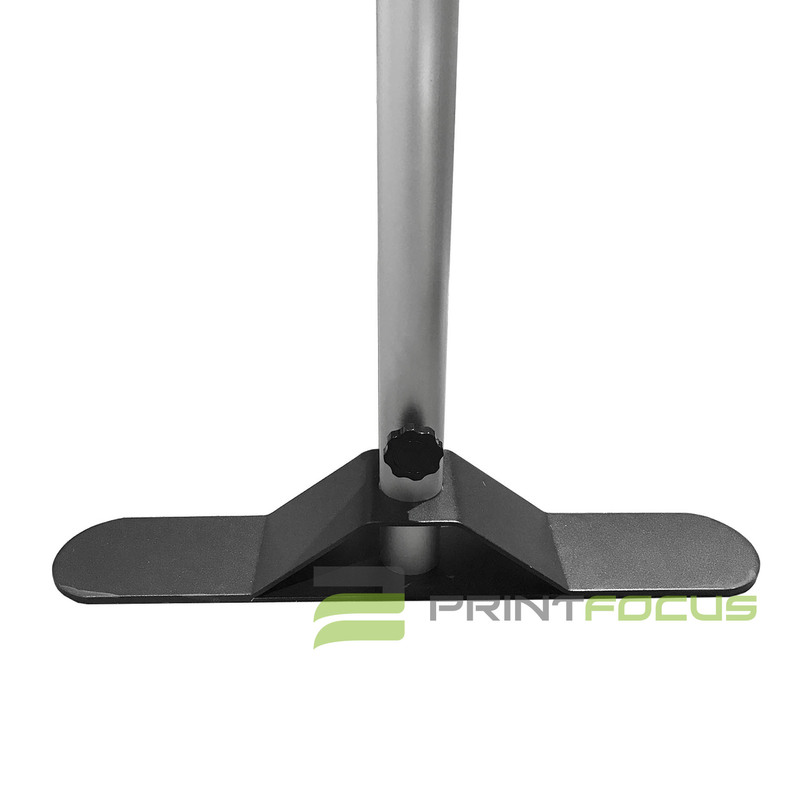 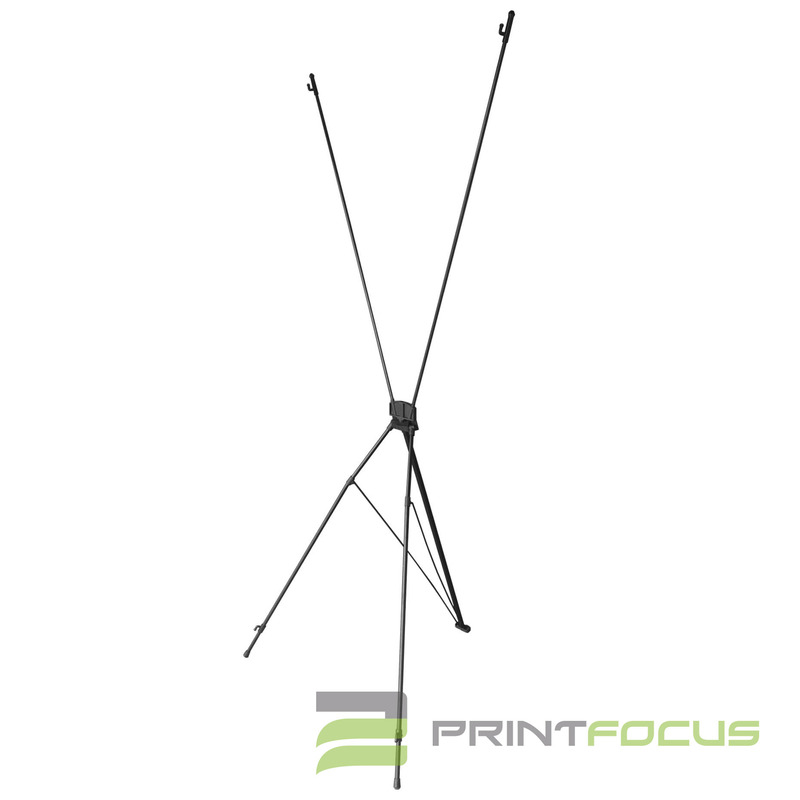 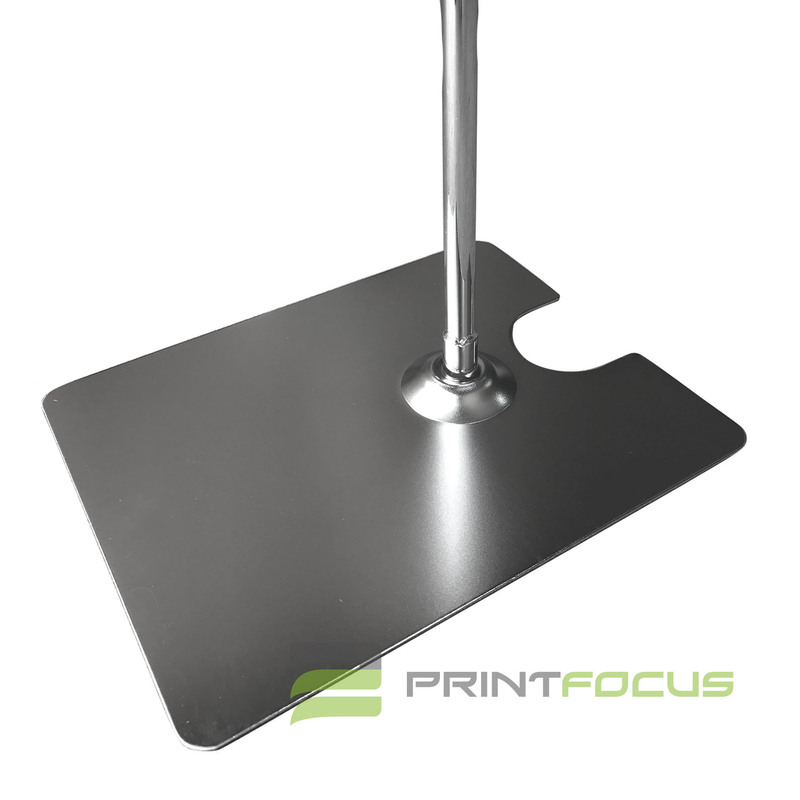 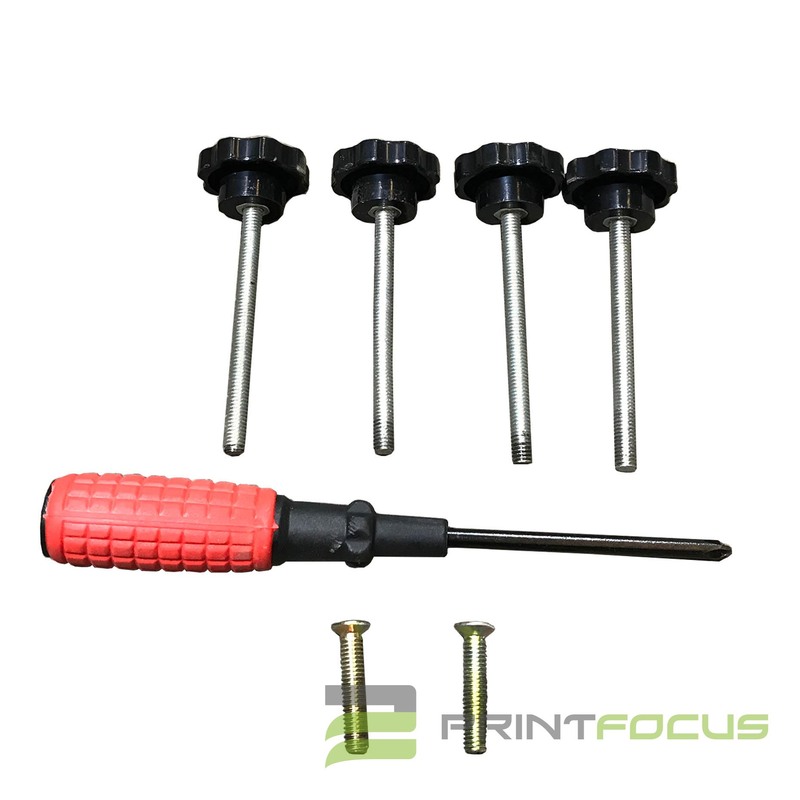 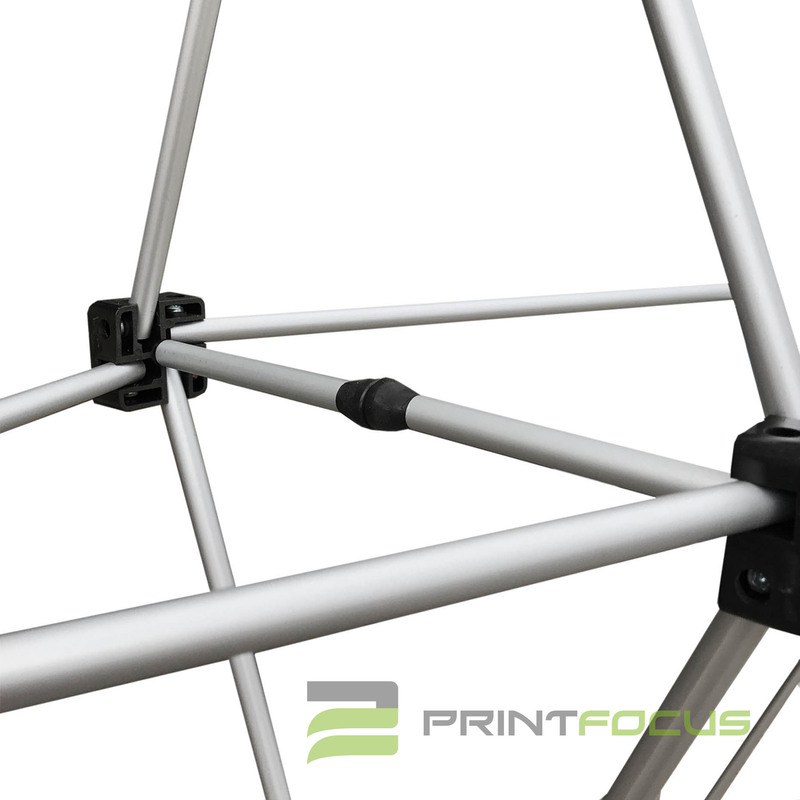 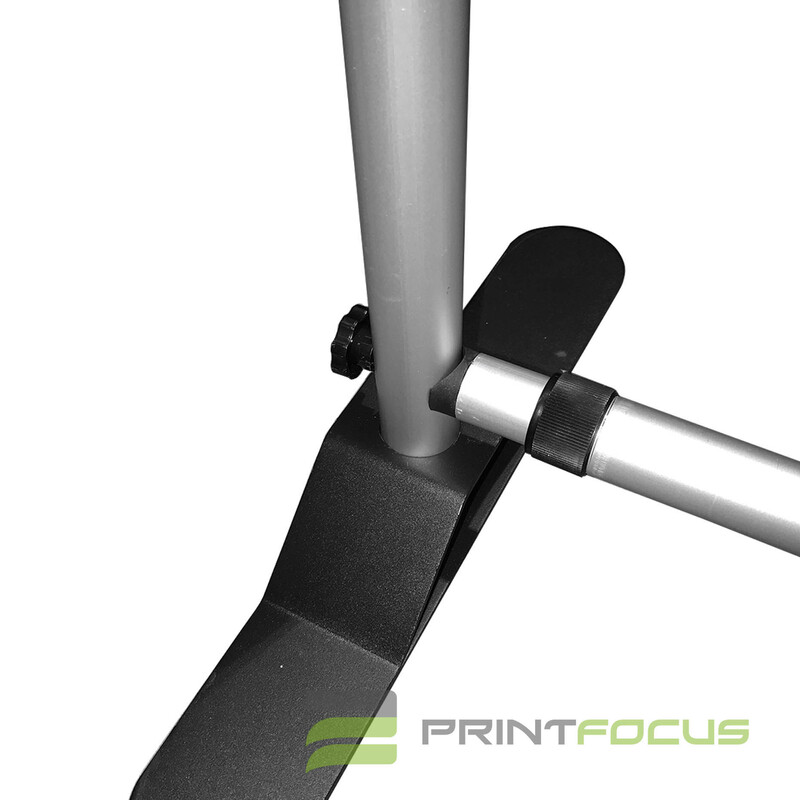 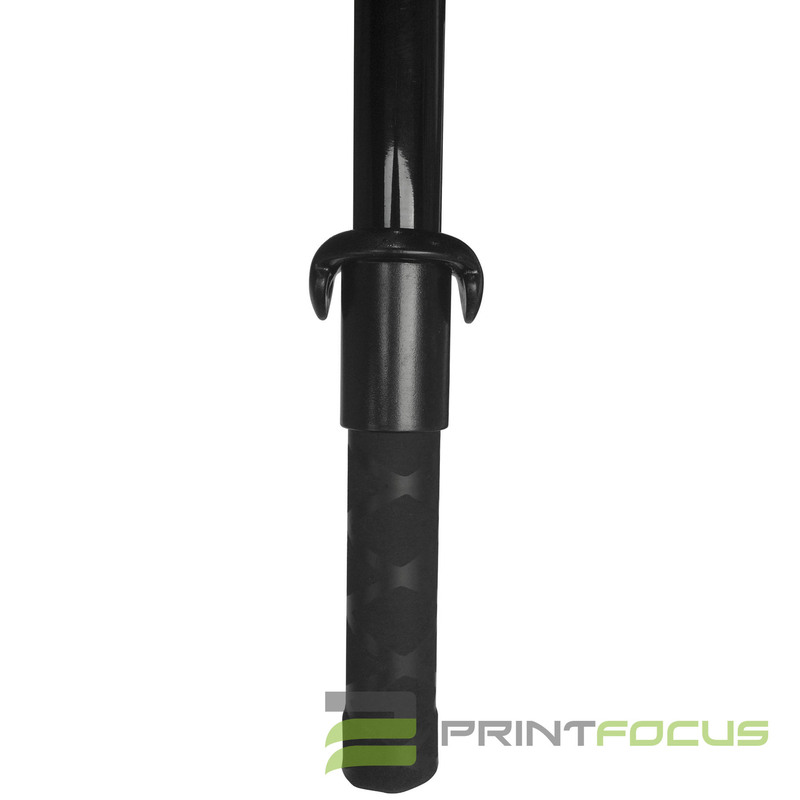 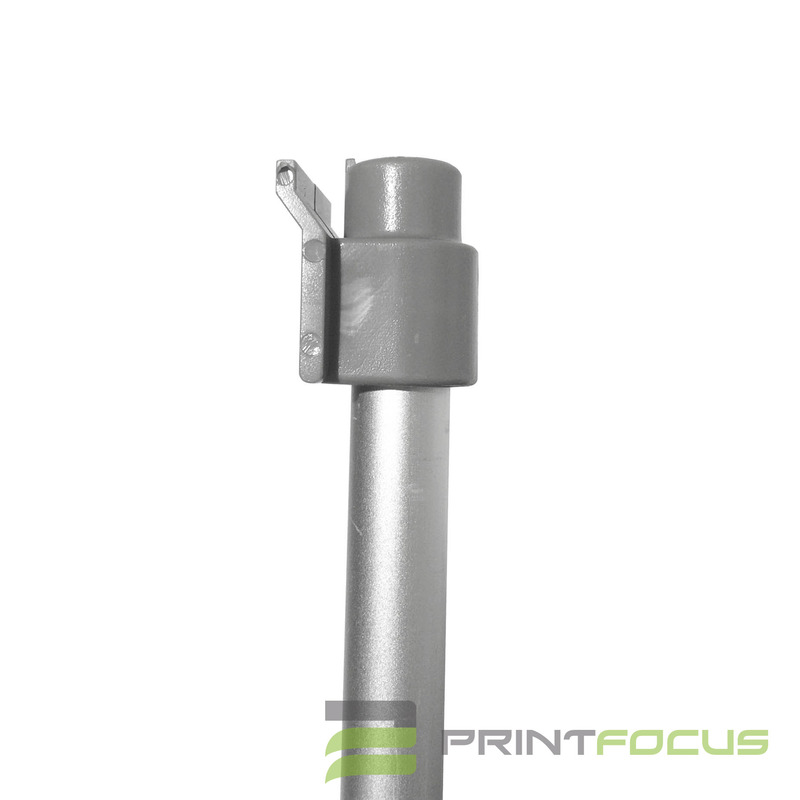 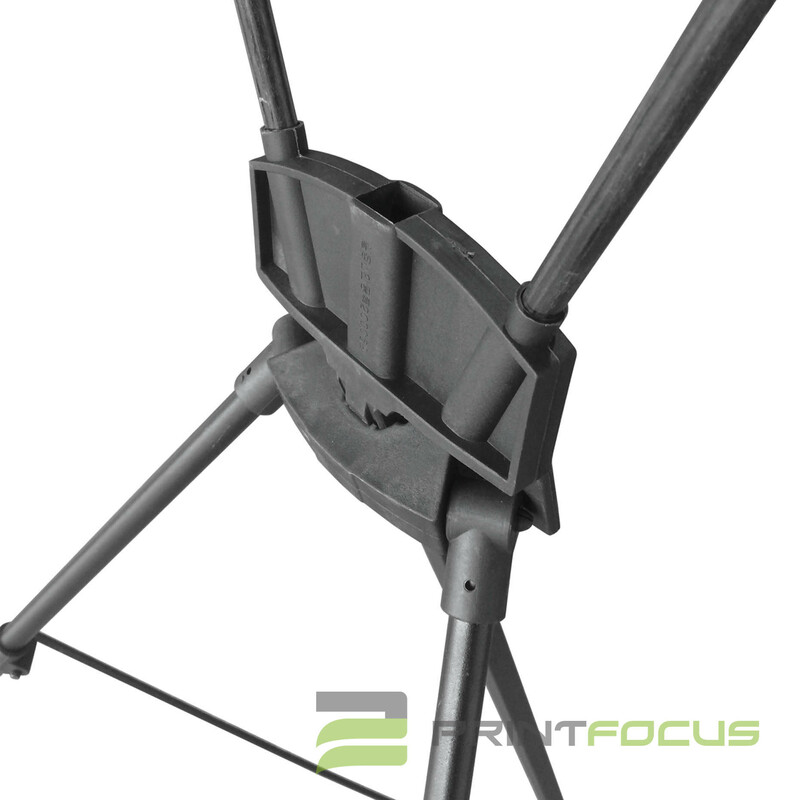 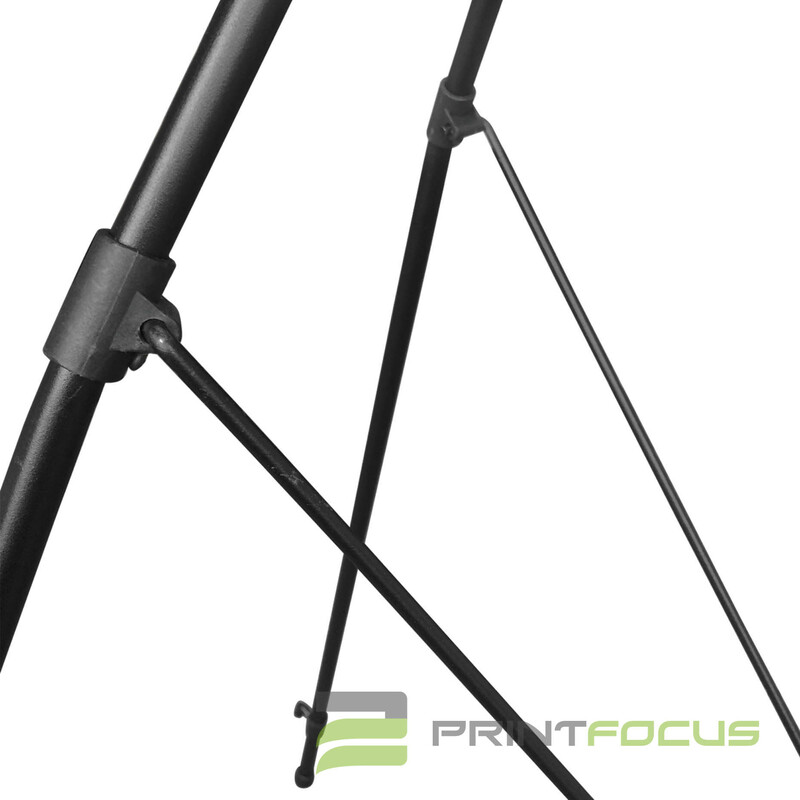 * Set-up of display requires no tools with telescoping pole setting up in seconds!